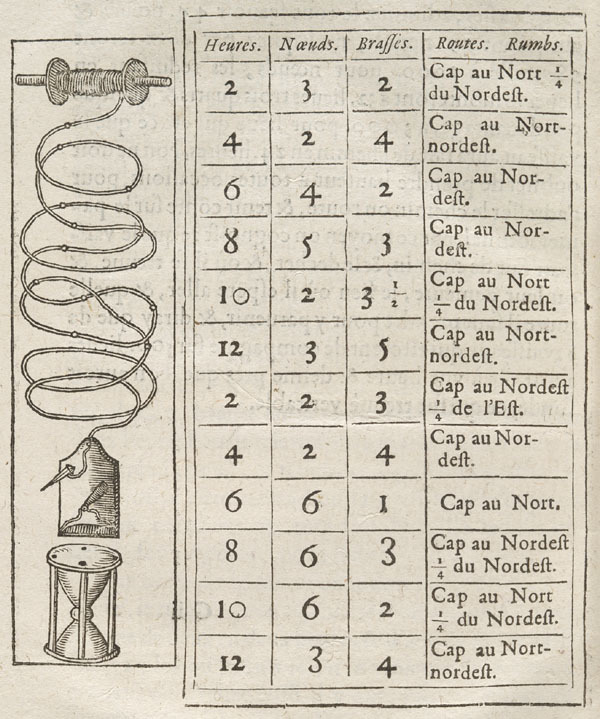 Avant de reproduire des documents, des images ou des éléments graphiques, voir Droits d'auteur et de reproduction de contenu. Graphiques figuratifs autochtones -- près de Towdystan C.-B. 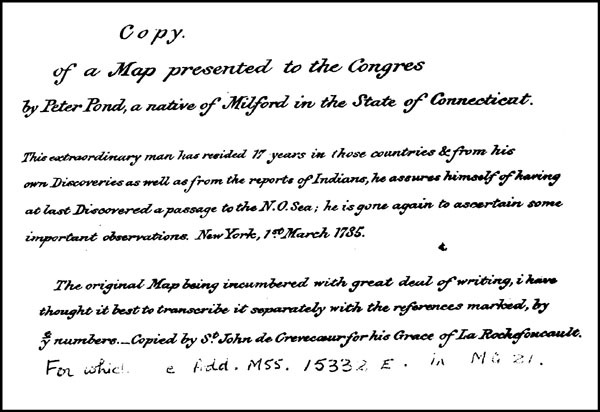 Moeurs des sauvages ameriquains [sic] comparées aux mœurs des premiers temps; P. Lafitau. 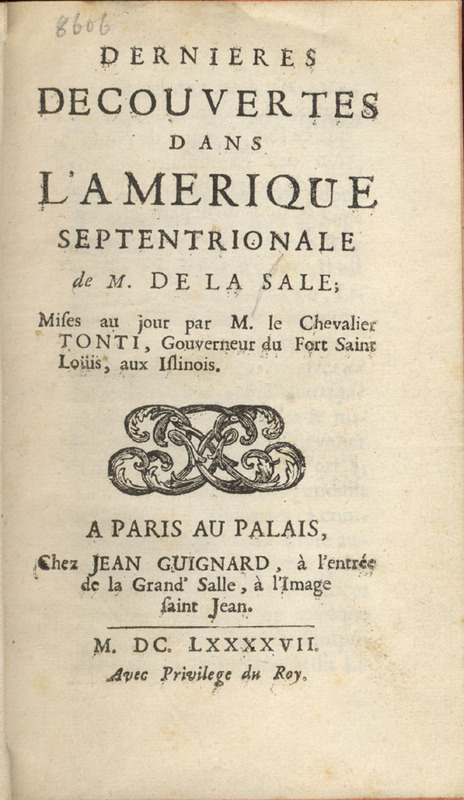 Paris: Chez Saugrain l'aîné…, Charles-Estienne Hochereau…, 1724. 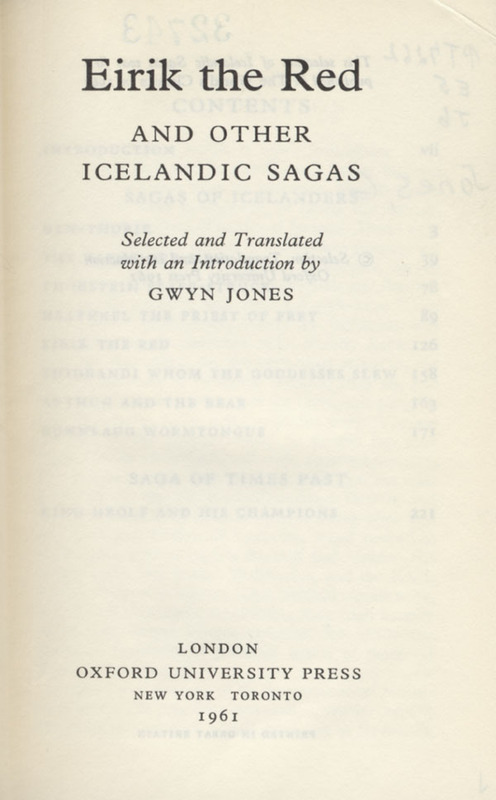 Gwyn Jones, Londres, Oxford University Press, 1961. 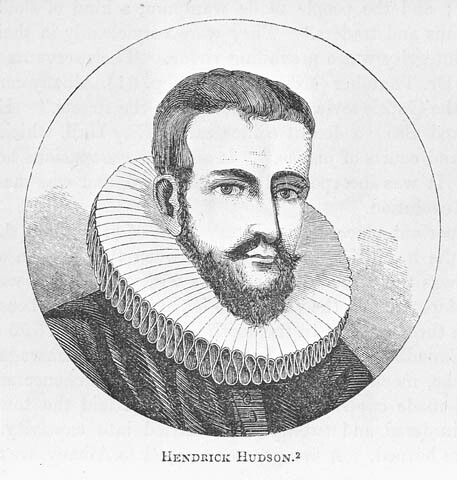 Hakluyt, Richard. 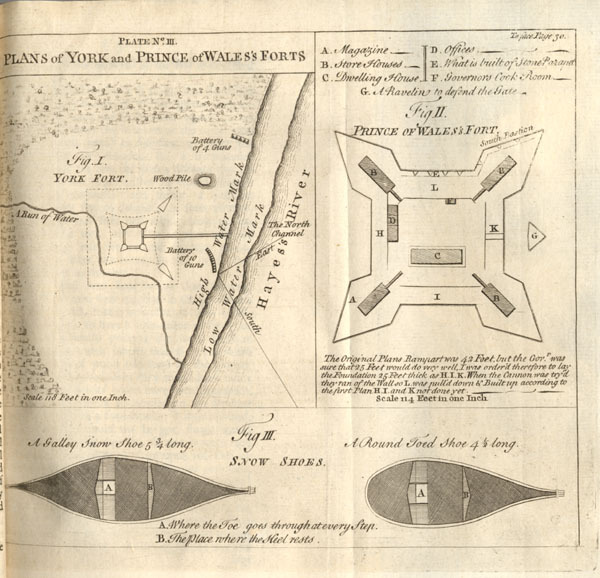 The Principall Navigations, Voiages, and Discoveries of the English Nation […]. 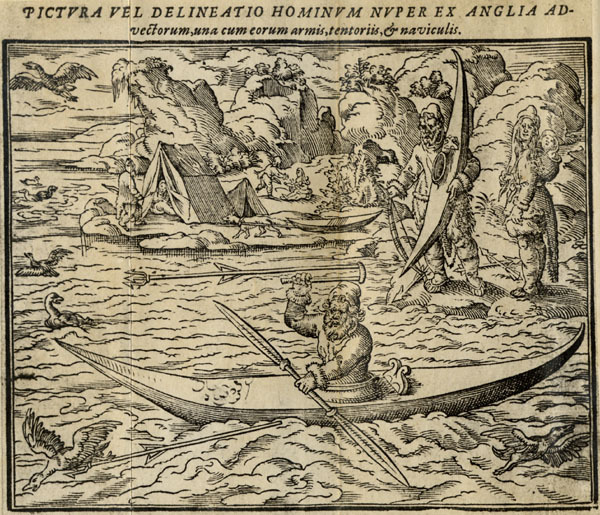 Londres, George Bishop et Ralph Newberie, 1589. 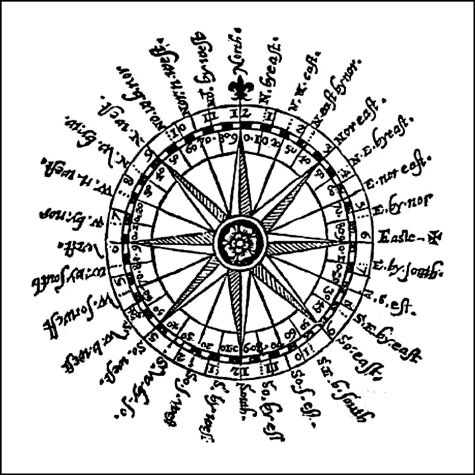 Primo [terzo] volume, & terza editione delle navigationi et viaggi raccolto gia da M. Gio Battista Ramvsio…, Giovanni Battista Ramusio, Venise, Nella stamperia de Givnti, 1563-1583. 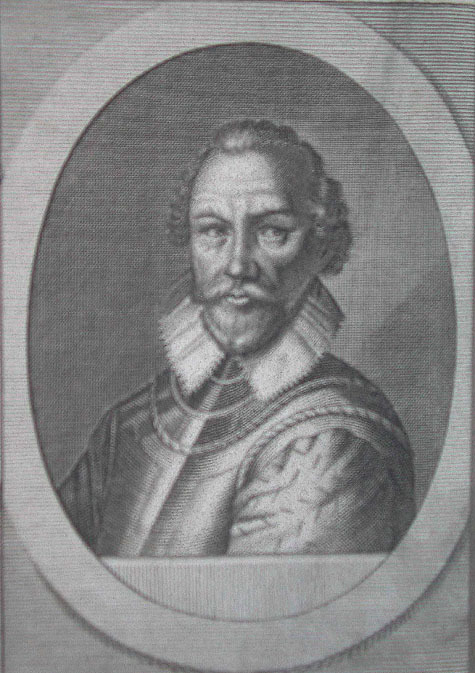 Wytfliet, Corneille. 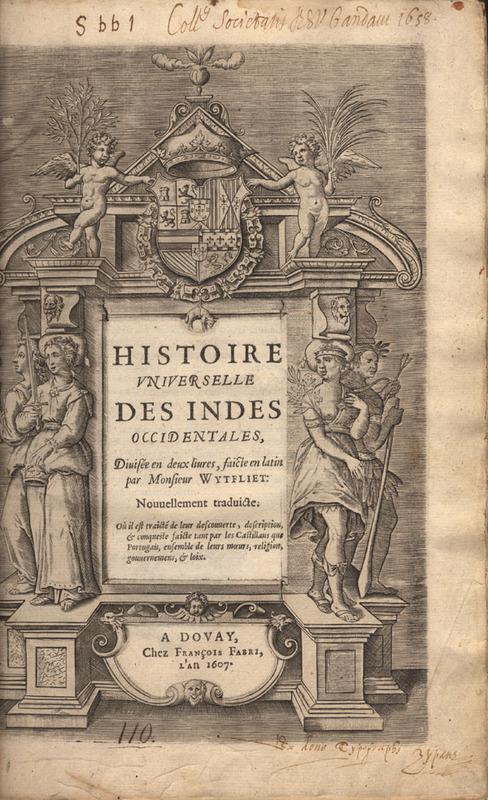 Histoire universelle des Indes occidentales…, Dovay, Francois Fabri, 1607. 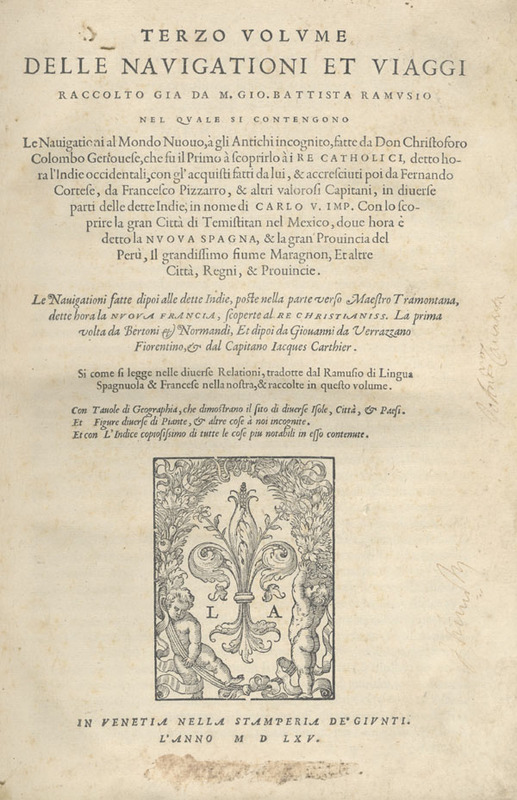 Primo-terzo volume, & terza editione delle navigationi et viaggi raccolto gia da M. Gio Battista Ramvsio…, Giovanni Battista Ramusio, Venise, Nella stamperia de Givnti, 1563-1583. 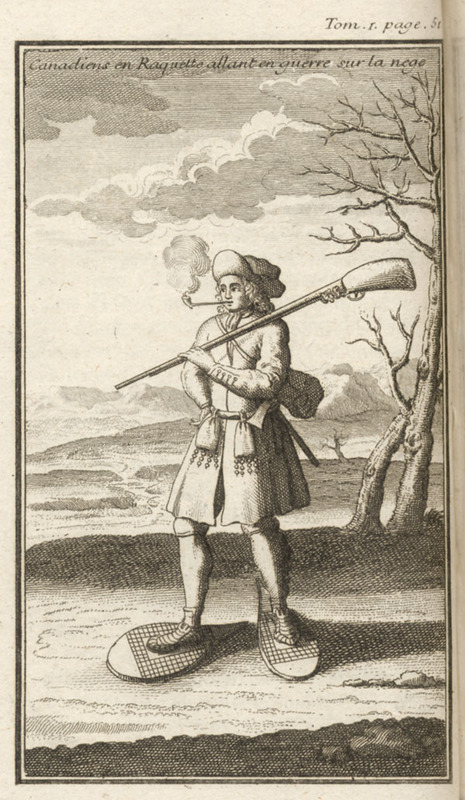 Navigantium atque itinerantium bibliotheca , or, A Compleat Collection of Voyages and Travel…, John Harris, Londres, imprimé pour Thomas Bennet…, John Nicholson… et Daniel Midwinter…, 1705. 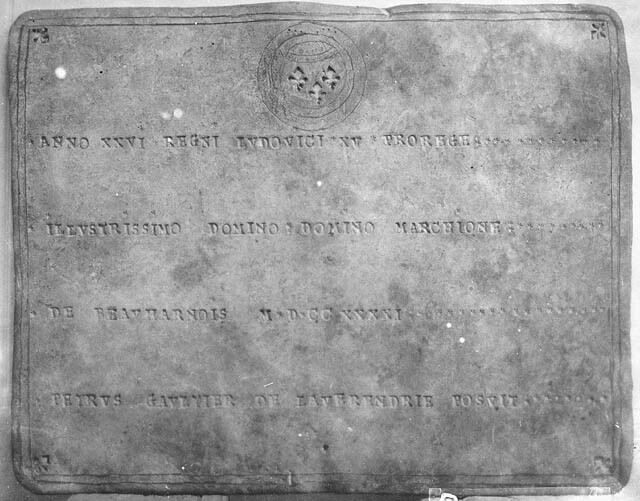 De Martini Forbisseri Angli navigatione in regionae occidentis et septentionis : narratio historica, ex Gallico sermone ; Dionyse Settle, [Noribergae N'urnberg, W. Germany] imprimebatur : in officina Catharinae Gerlachin, & Haredum Johanis Montani, anno 1580. 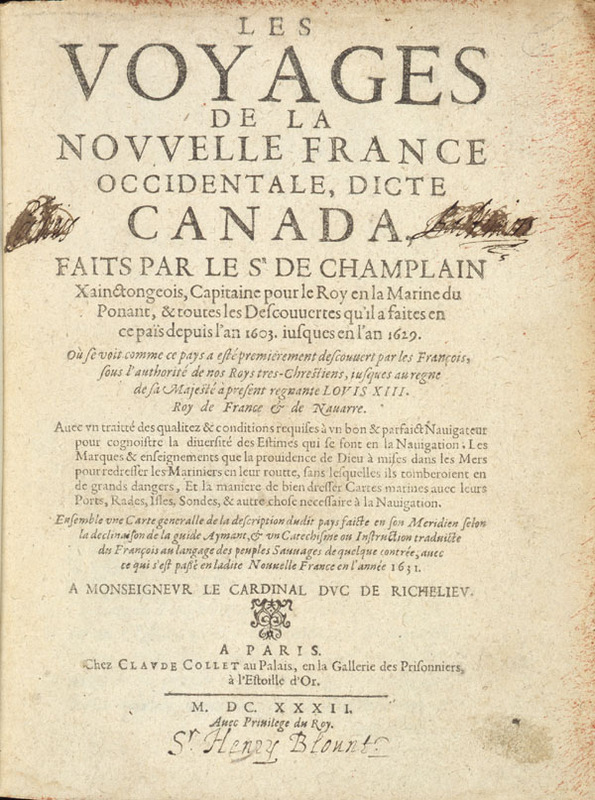 Les Voyages de la nouvelle France occidentale, dicte Canada faits par le S' de Champlain; Samuel de Champlain; Paris : Chez Claude Collet, 1632. 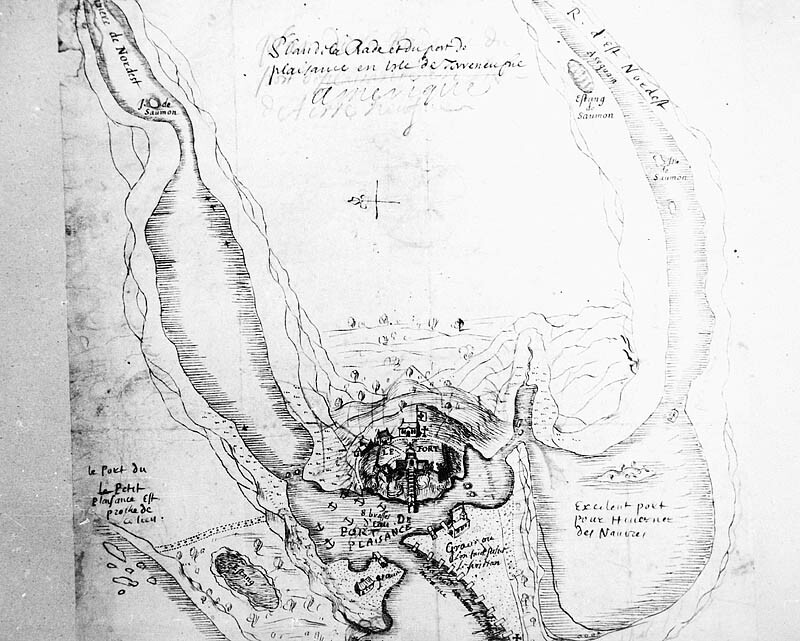 Champlain, Samuel de. 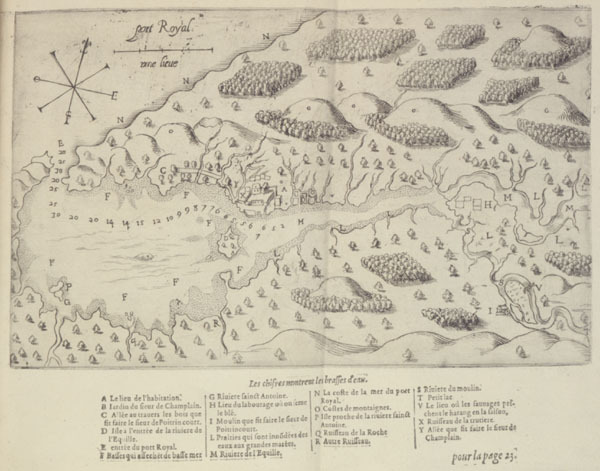 Les Voyages du sieur de Champlain, Xaintongeois, capitaine ordinaire pour le Roy en la marine, depuis l'année 1608 jusques en 1612, Paris, Iean Berjon, 1613. 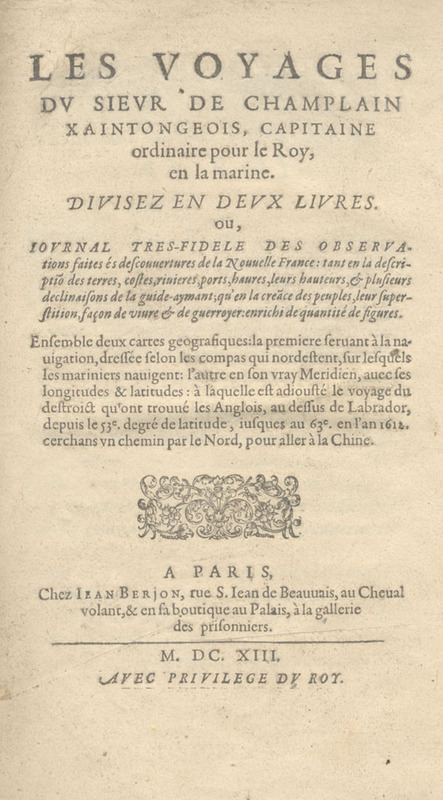 Les Voyages dv sievr de Champlain, Xaintongeois, capitaine ordinaire pour le Roy en la marine, divisez en devx livres, ou, Iovrnal très-fidèle des observations faites, és decouuertures de la Nouuelle France…, Samuel de Champlain, Paris, Chez Iean Berjon…, 1613. 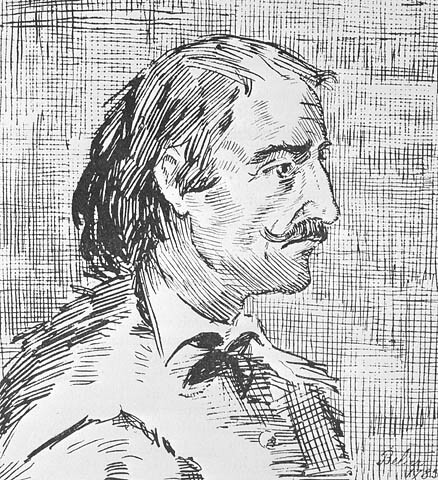 Ramusio, Giovanni Battista. 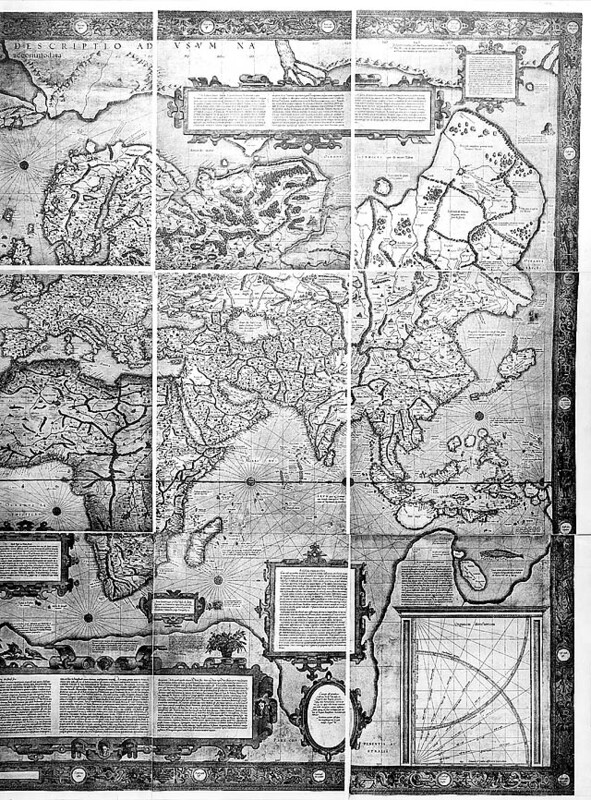 Terzo volume delle navigationi et viaggi raccolto gia de M. Gio. 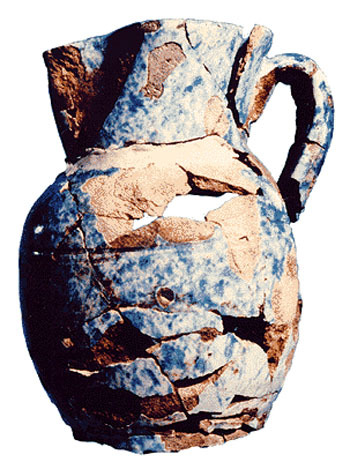 Battista Ramusio…, vol. 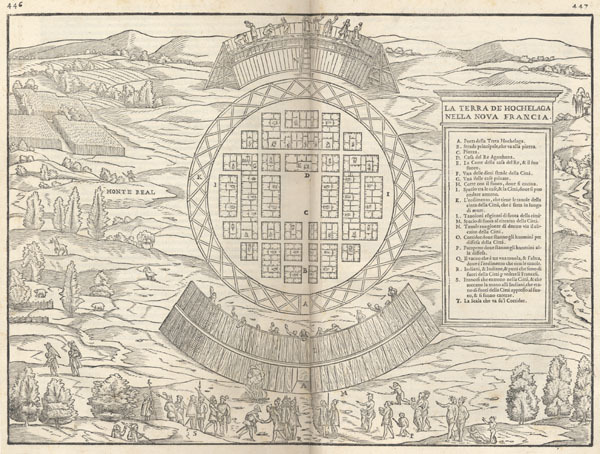 3, Venise, Nella stamperis de Giunti, 1565. Davis, John. The Seaman's Secrets, Londres, Thomas Dawson, 1607. 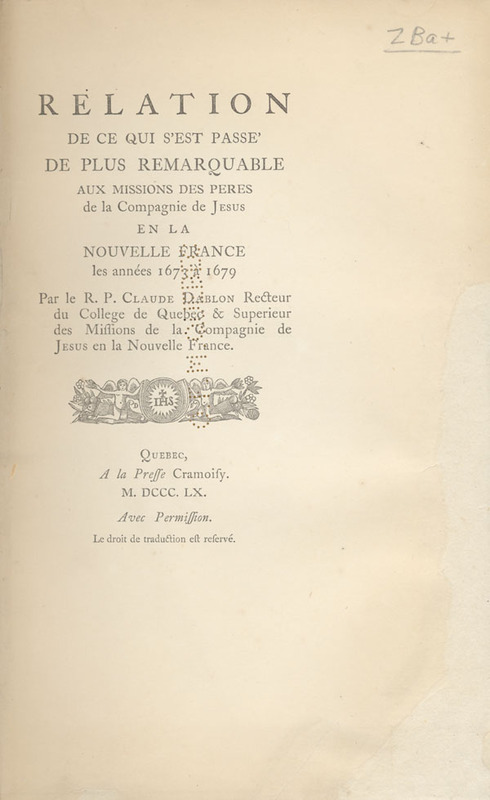 Histoire de l'Amérique septentrionale: divisée en quatre tomes; Claude-Charles Bacqueville de La Potherie. 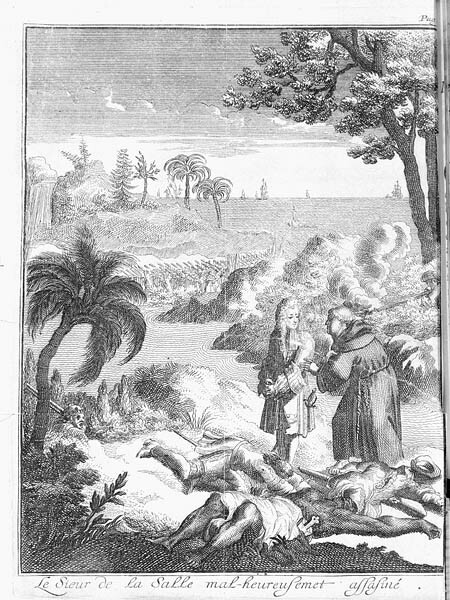 Paris : Jean-Luc Nion … et François Didot, 1722. 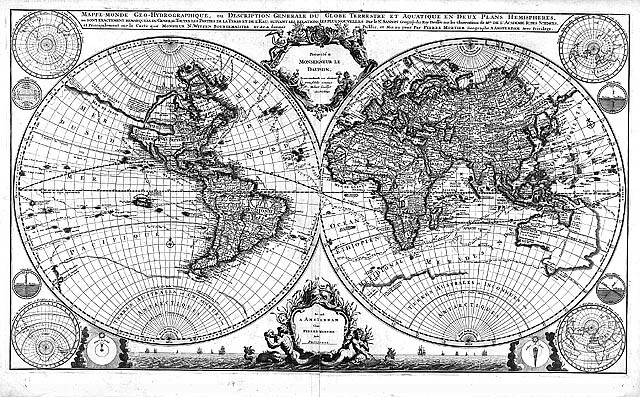 Relation de ce qvi s'est passé en la Novvelle France, en l'année 1634. 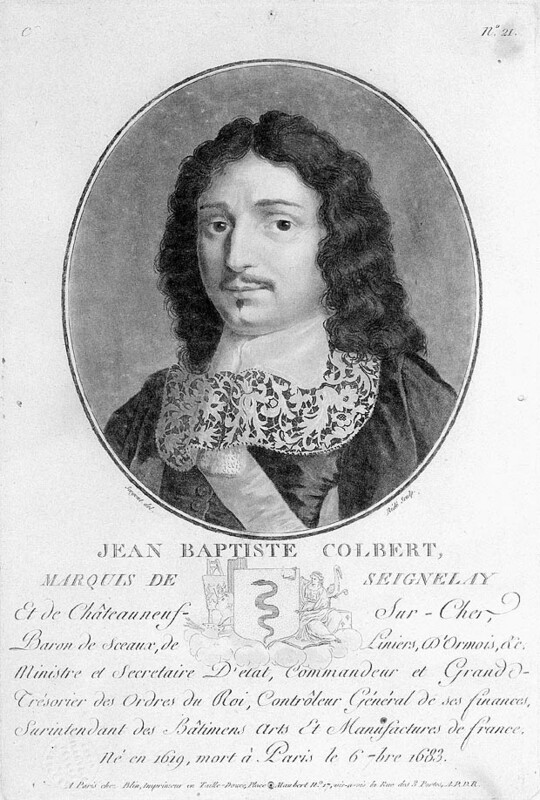 Paris : Chez Sebastien Cramoisy ..., 1635. 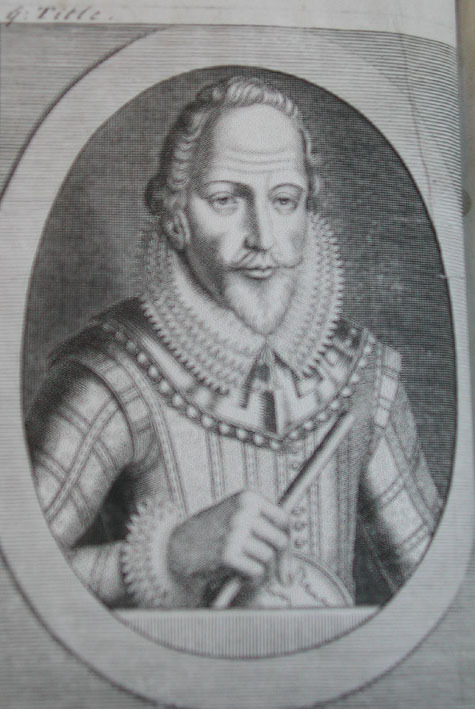 Purchas, Samuel. 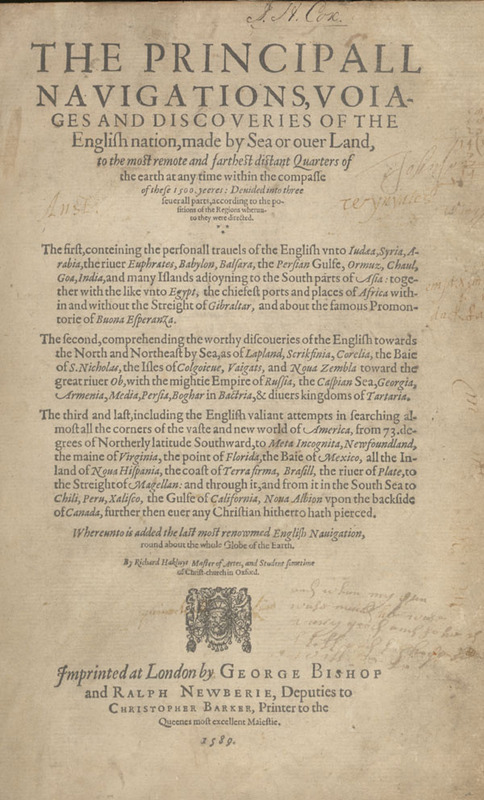 Purchas His Pilgrimage, or, Relations of the World and the Religions Observed in All Ages and Places Discovered, From the Creation Unto This Present…, Londres, W. Stansby pour H. Fetherstone, 1617. 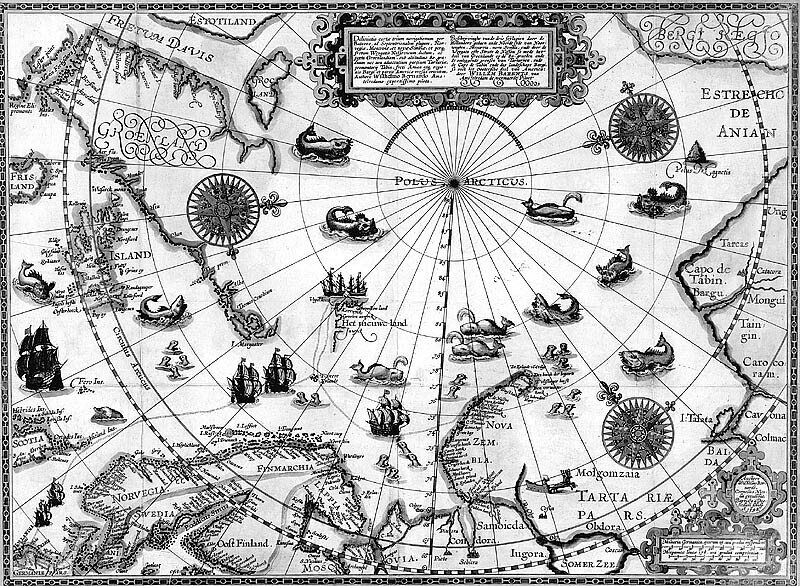 The Voyages of Captain Luke Foxe of Hull and Captain Thomas James of Bristol in Search of a North-West Passage in 1631-32: with Narratives of the Earlier North-West Voyages of Frobisher, Davis, Weymouth, Hall, Knight, Hudson, Button, Gibbons, Bylot, Baffin, Hawkridge and others, Christy Miller, Londres, imprimé par la Hakluyt Society, 1894. 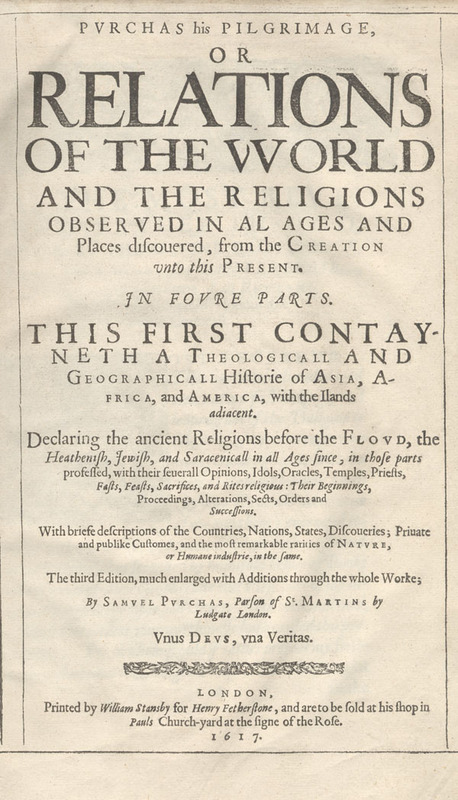 Purchas His Pilgrimage, or Relations of the World and the Religions Observed in All Ages and Places Discovered, From the Creation Unto This Present, Samuel Purchas, Londres, imprimé par W. Stansby pour H. Fetherstone, 1626. Sagard, F. Gabriel. 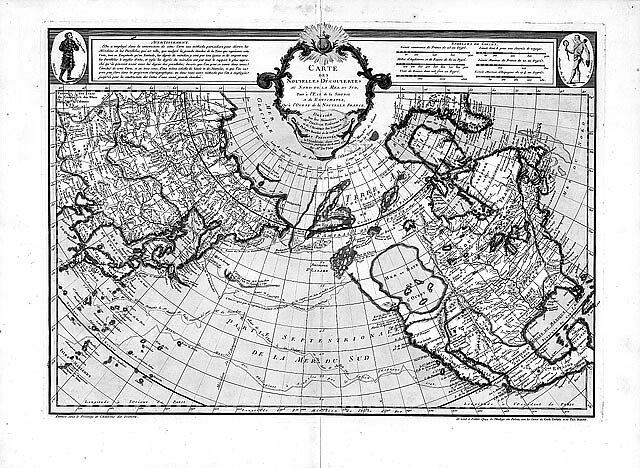 Le Grand Voyage du pays des Hurons, situé en l'Amerique vers la Mer douce, és derniers confins de la nouvelle France, dite Canada, Paris, Denys Moreau, 1632. 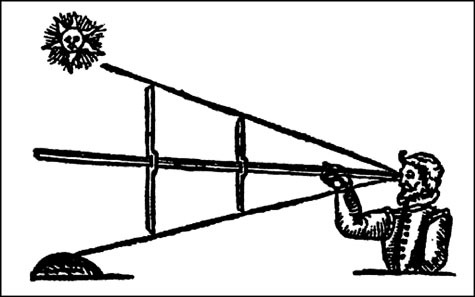 Scull, G.D., ed. 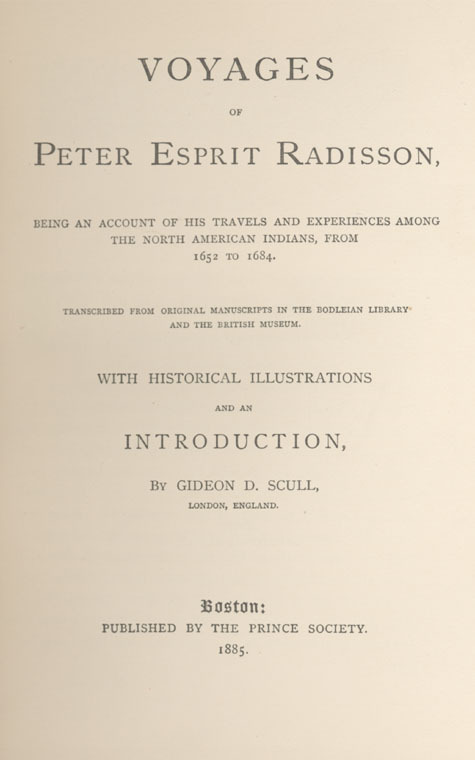 Voyages of Peter Esprit Radisson Being an Account of His Travels and Experiences Among the North American Indians from 1652 to 1684. Boston: The Prince Society, 1885. 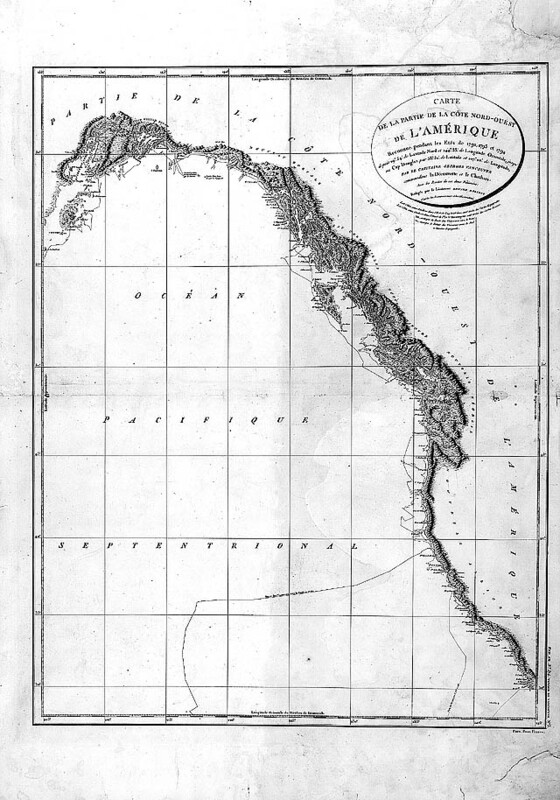 Voyage ou Nouvelle découverte d'un très-grand pays, dans l'Amérique, entre le Nouveau Mexique et la mer glaciale ; le R.P. 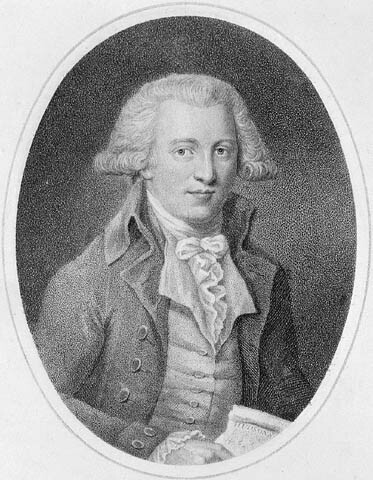 Louis Hennepin. 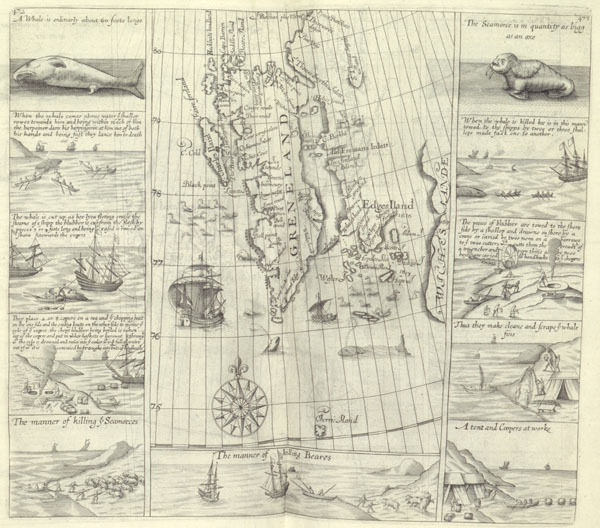 Amsterdam : Chez Adriaan Braakman, Marchand libraire ... , 1704. Kelsey, Henry. 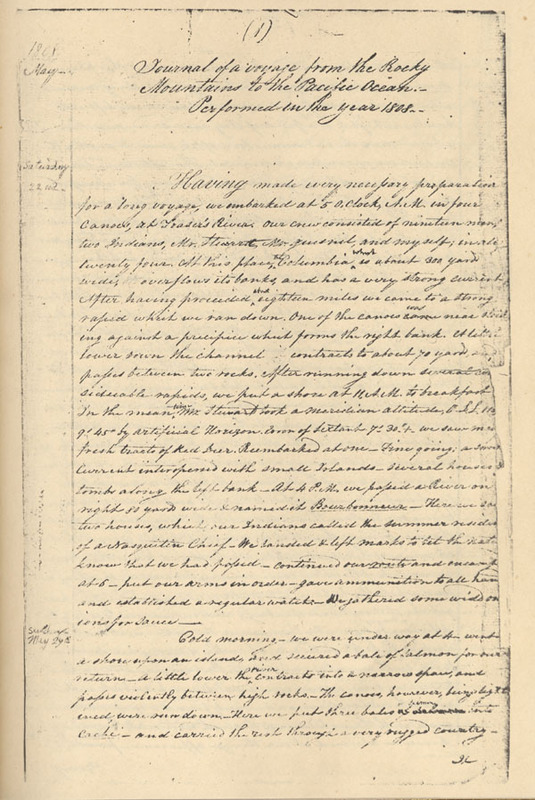 The Kelsey Papers. 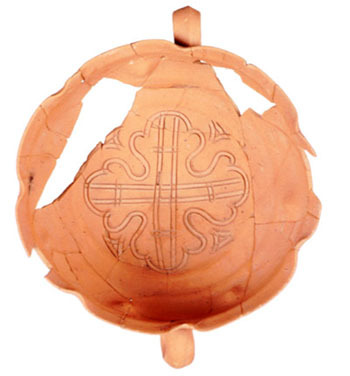 Ottawa: F.A. 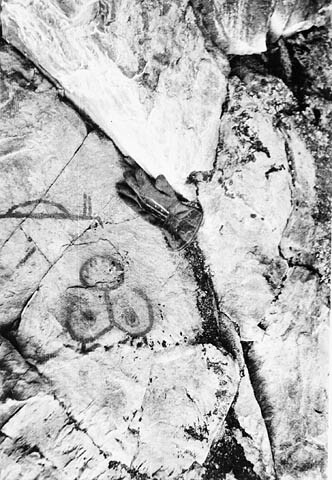 Acland, 1929. 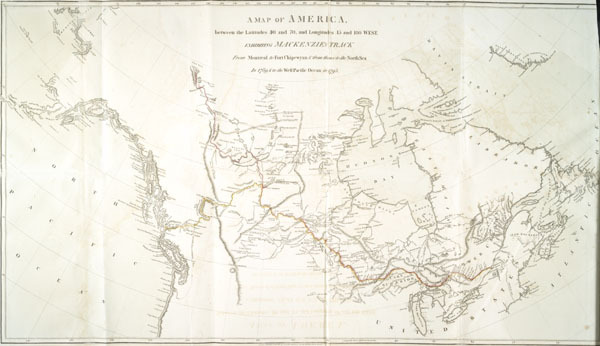 Histoire de l'Amérique septentrionale: divisée en quatre tomes; Claude-Charles Bacqueville de La Potherie. 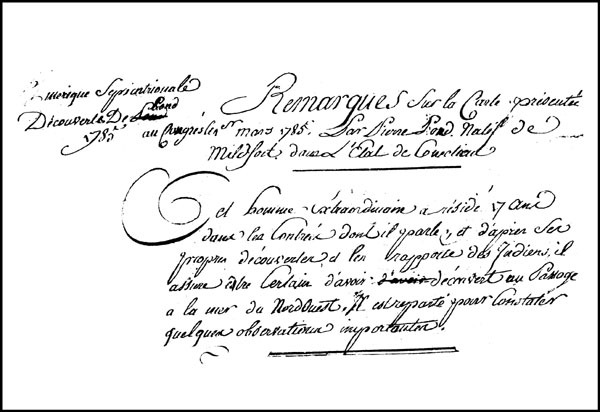 Paris: Jean-Luc Nion … et François Didot, 1722. 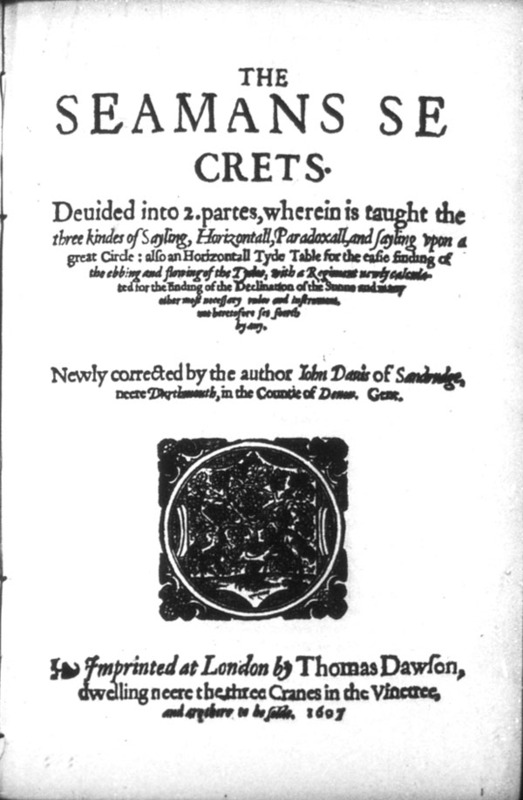 Hearne, Samuel. 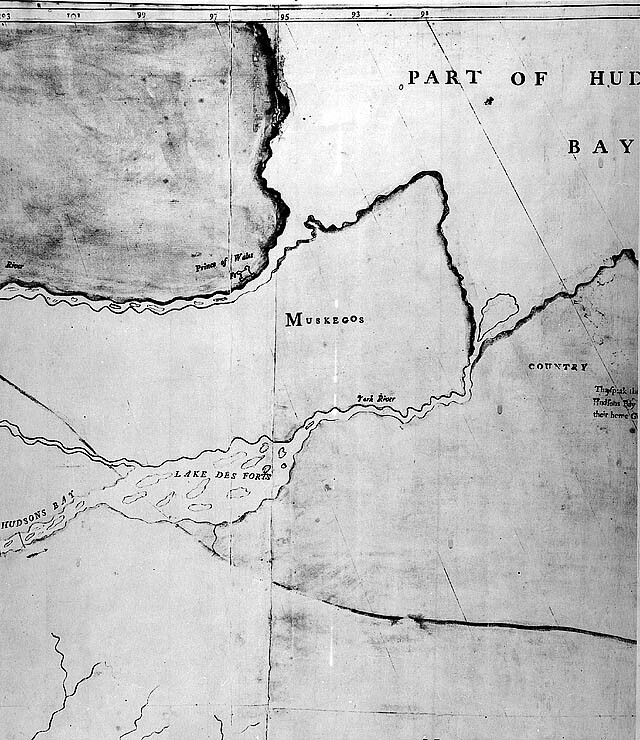 A Journey from Prince of Wales's Fort in Hudson's Bay, to the Northern Ocean. 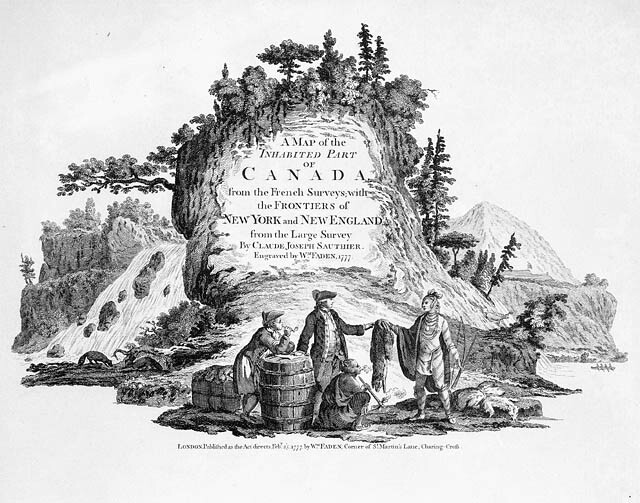 Undertaken by Order of the Hudson's Bay Company, for the Discovery of Copper Mines, a North West Passage; &c. In the Years 1769, 1770, 1771, & 1772. Londres, A. Strahan et T. Cadell, 1795. 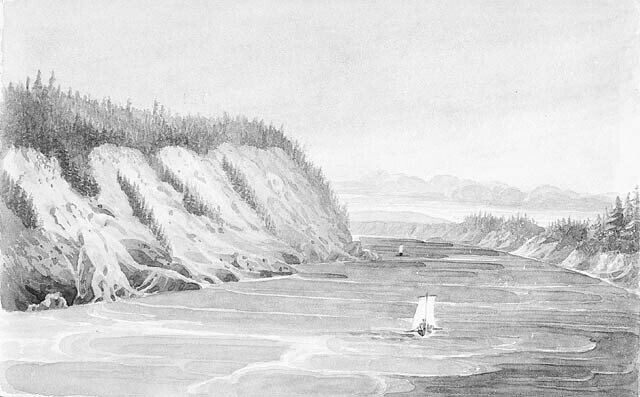 A Journey from Prince of Wales's Fort in Hudson's Bay, to the Northern Ocean. 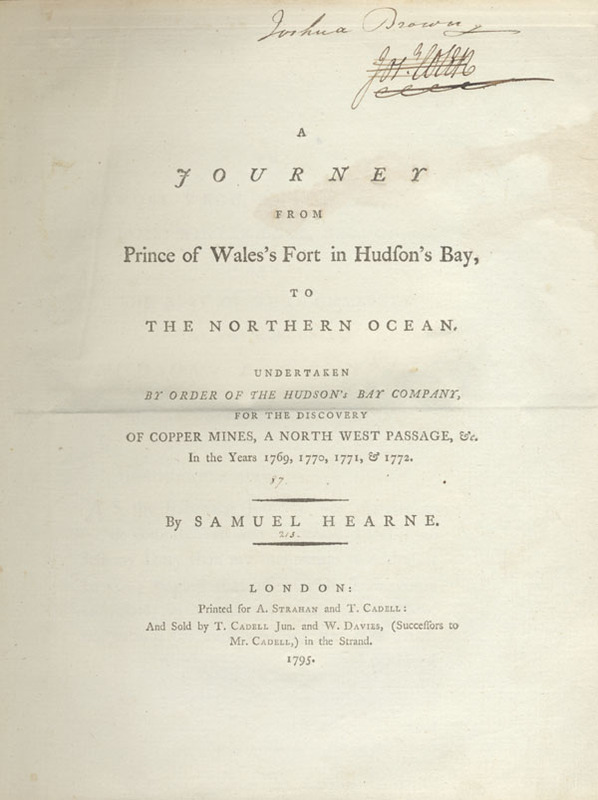 Undertaken by Order of the Hudson's Bay Company, for the Discovery of Copper Mines, a North West Passage; &c. in the Years 1769, 1770, 1771, & 1772, Samuel Hearne. Londres, imprimé pour A. Strahan et T. Cadell, 1795. 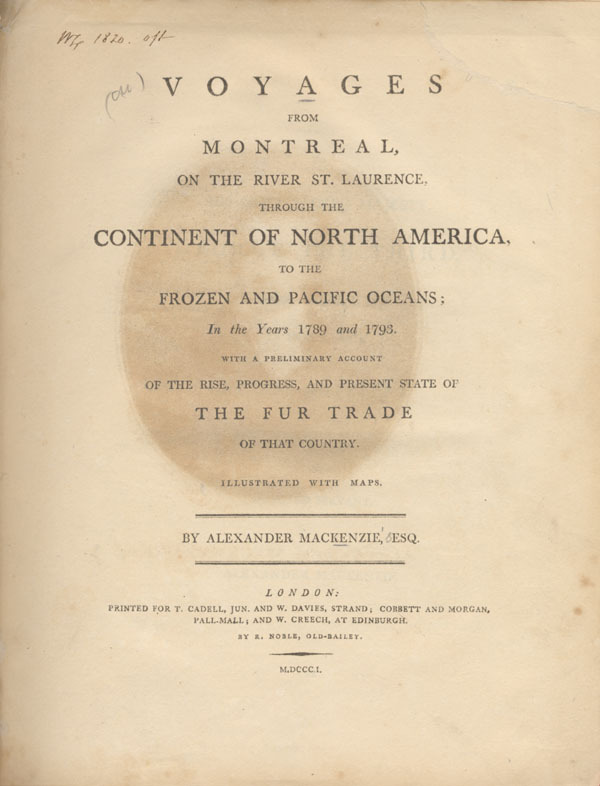 Voyages from Montreal on the River St. Lawrence through the Continent of North America, to the Frozen Pacific Oceans in the Years 1789 and 1793…; Alexander Mackenzie. 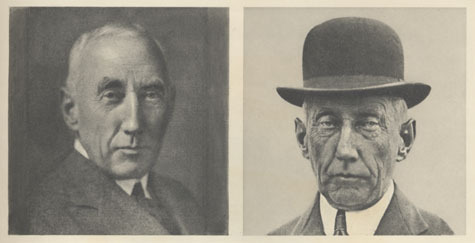 London: Printed for T. Cadell and W. Davies [etc.] 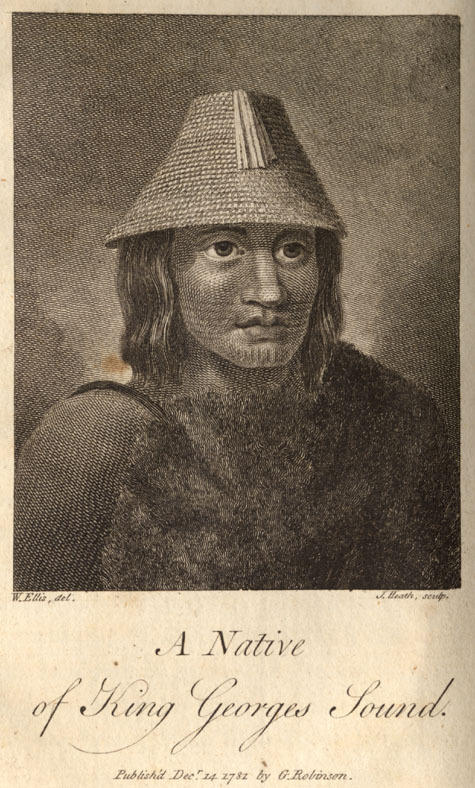 par R. Noble, 1801. 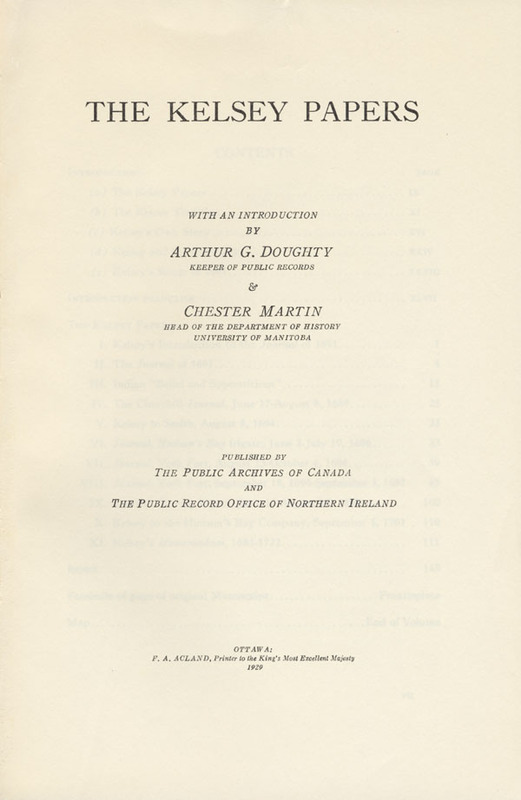 The History of the Northern Interior of British Columbia A.G. Morice; Toronto, William Briggs, 1905. Maurelle, Francisco. 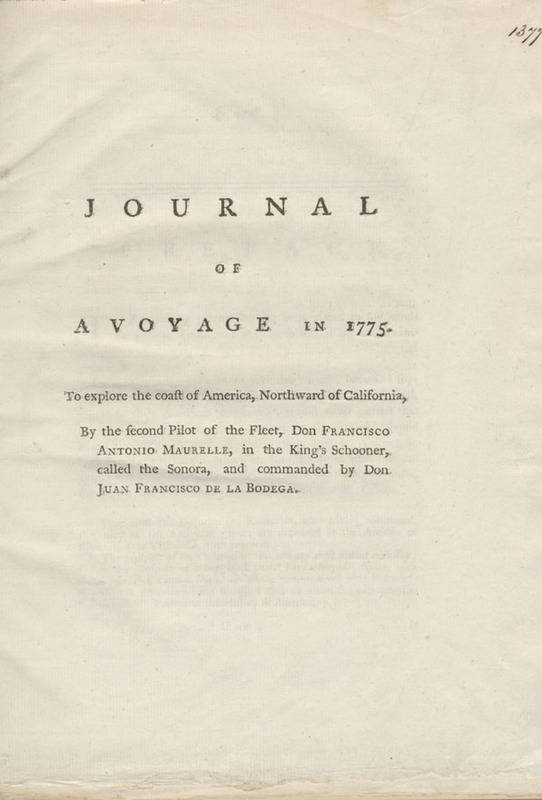 Journal of a Voyage in 1775 to Explore the Coast of America Northward of California, by the Second Pilot of the Fleet, Don Francisco Antonio Maurelle [i.e. 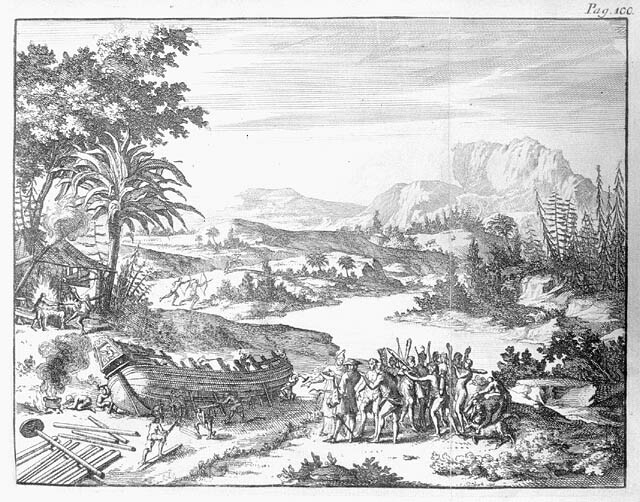 Mourelle] in the King's Schooner Called the Sonora and Commanded by Don Juan Francico de la Bodega. 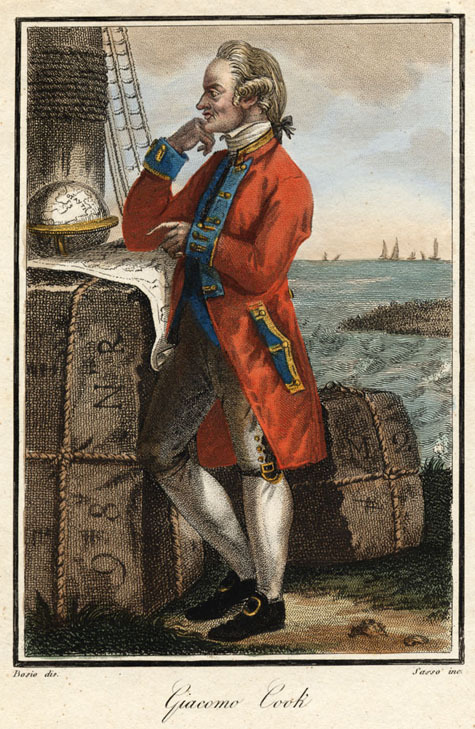 Londres, J. Nichols, 1781. 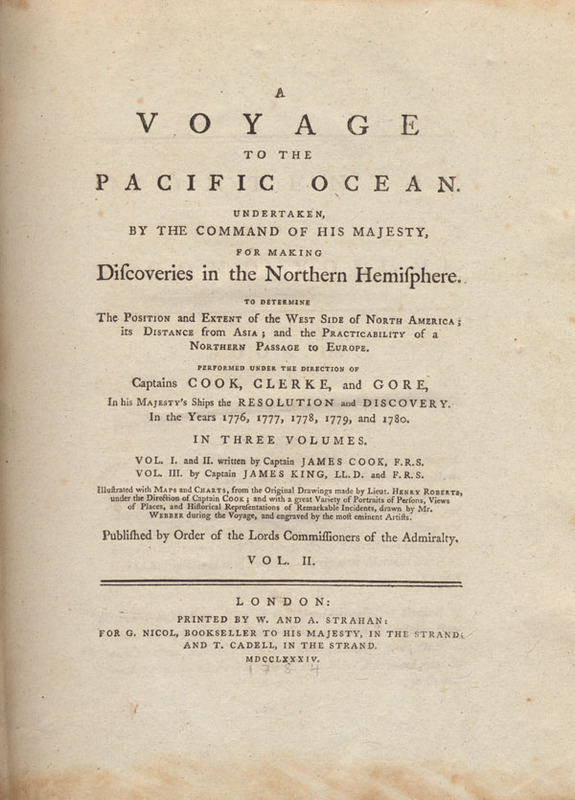 A Voyage to the Pacific Ocean: Undertaken by the Command of His Majesty, for Making Discoveries in the Northern West Side of North America…; James Cook et James King, Londres, imprimé par W. et A. Strahan pour G. Nicol et T. Cadell, 1784. Vancouver, George. 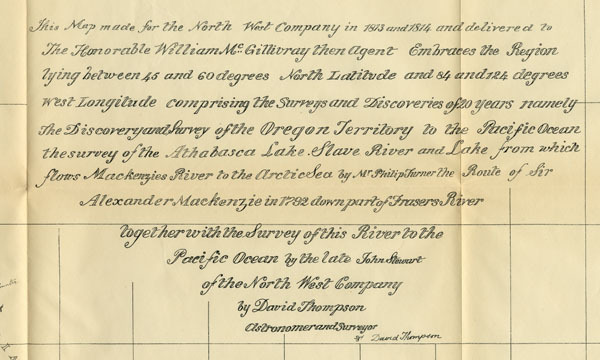 A Voyage of Discovery to the North Pacific Ocean […] in Which the Coast of North-West America Has Been Carefully Examined and Accurately Surveyed […] and Performed in the Years 1790, 1791, 1792, 1793, 1794, and 1795 […]. 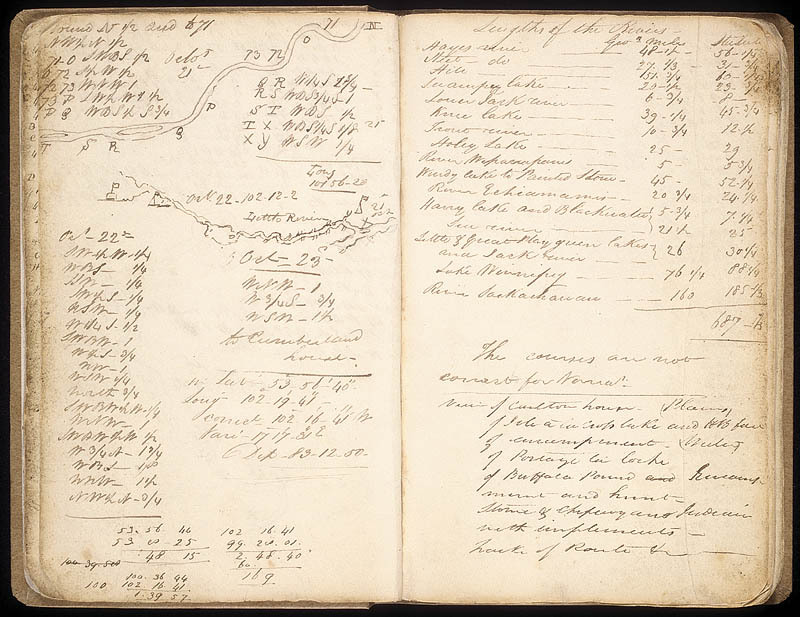 Londres, G. G. et J. Robinson et J. Edwards, 1798. 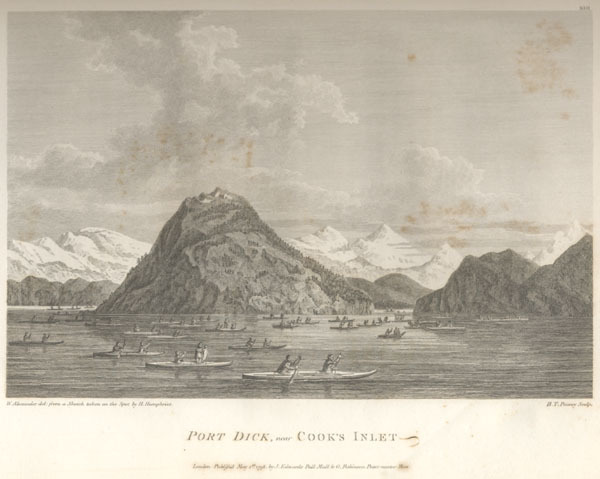 An Authentic Narrative of a Voyage Performed by Captain Cook and Captain Clerke…, W. Ellis, Londres, imprimé pour G. Robinson, J. Sewell et J. Debrett, 1782. Ross, Sir John. 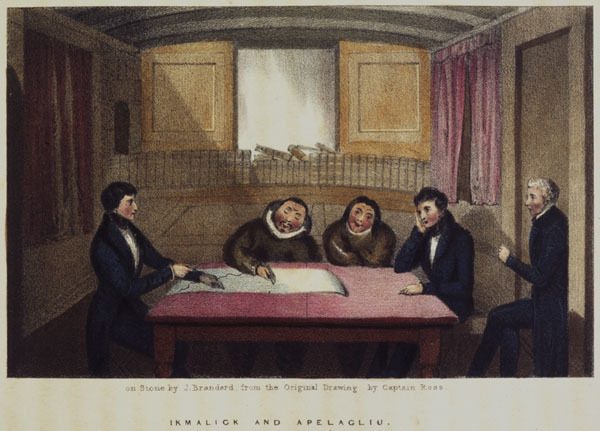 Narrative of a Second Voyage in Search of North-West Passage, and of a Residence in the Arctic Regions During the Years 1829, 1830, 1831, 1832, 1833. Londres, A.W. 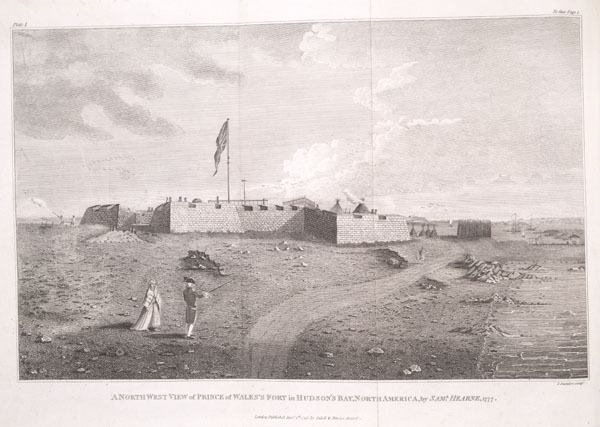 Webster, 1835. 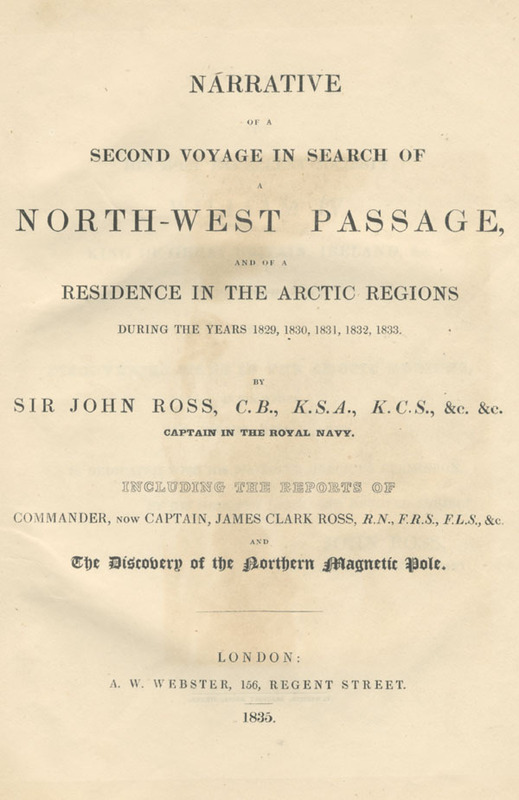 Narrative of a second voyage in search of a north-west passage, and of a residence in the Arctic regions during the years 1829, 1830, 1831, 1832, 1833; Sir John Ross. Londres, A.W. 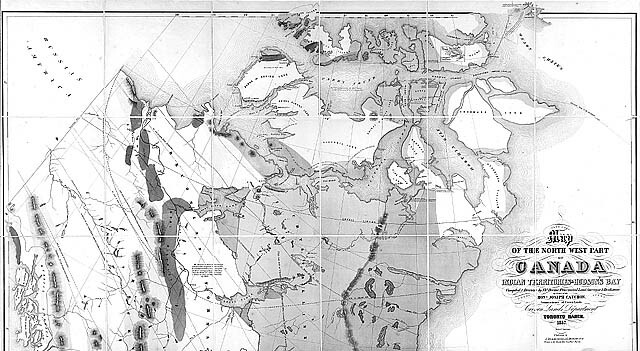 Webster, 1835. 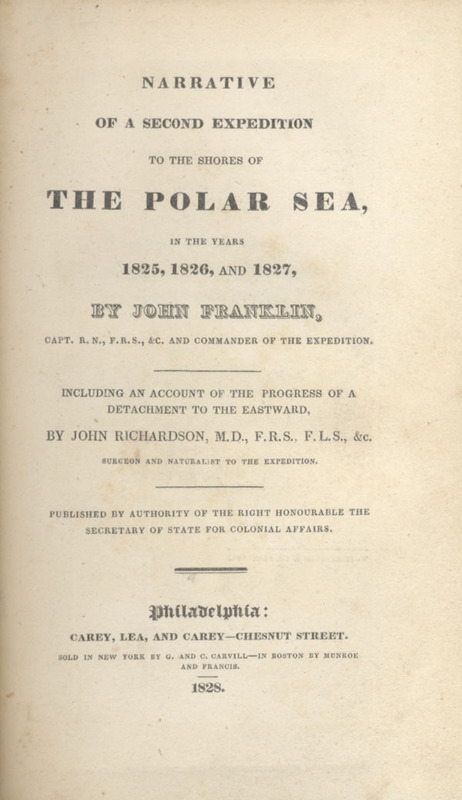 A Narrative of a Second Expedition to the Shores of the Polar Sea in the Years 1825, 1826, and 1827; John Franklin, Philadelphie, Carey, Lea and Carey, 1828. 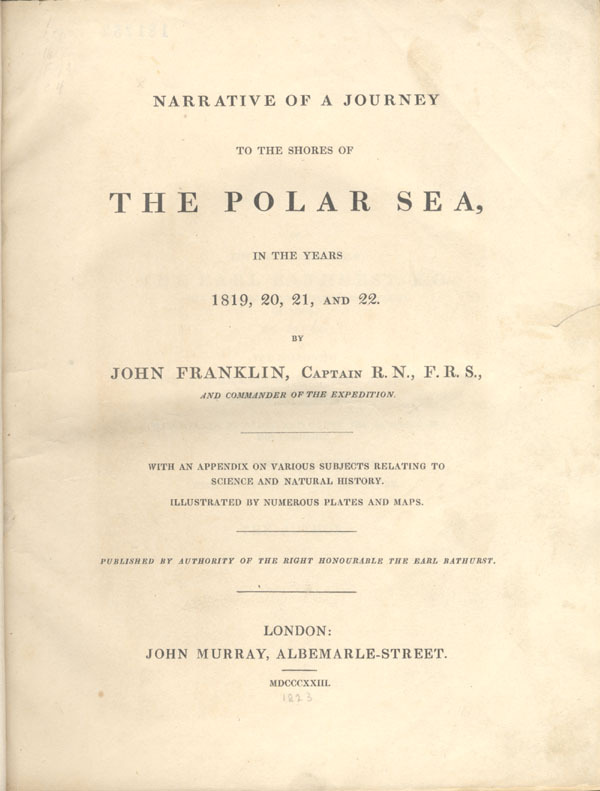 Narrative of a second expedition to the shores of the Polar Sea in the years 1825, 1826, and 1827; John Franklin. 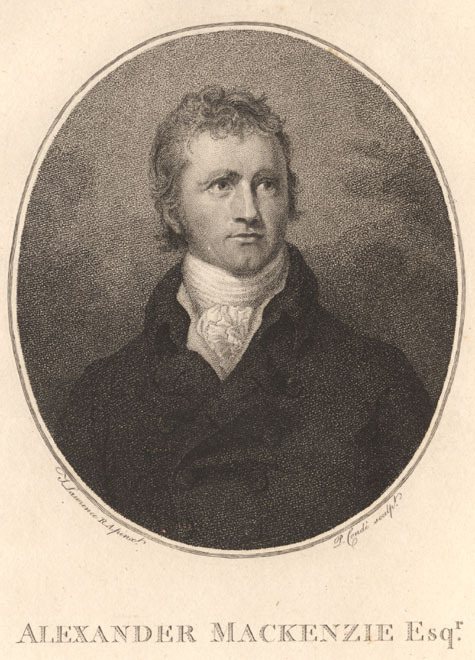 Londres, J. Murray, 1828. 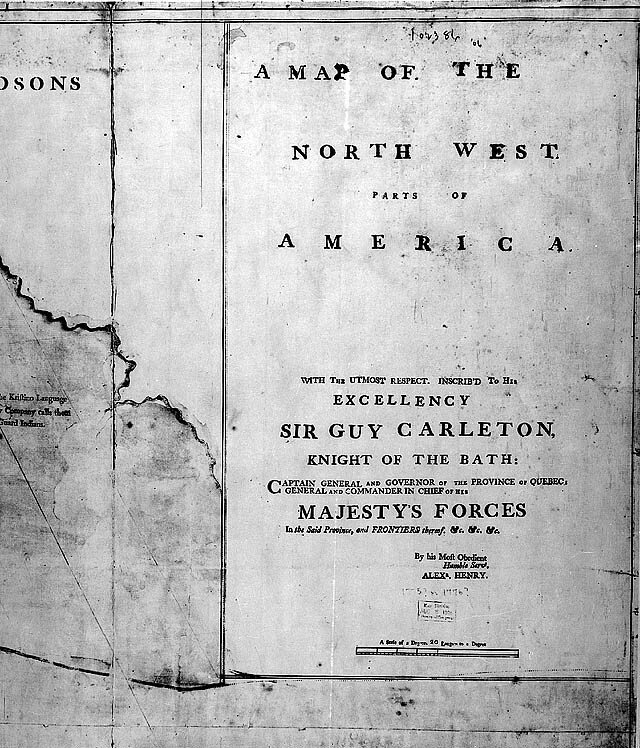 The Discovery of the North-West Passage by H.M.S. "Investigator" Capt. 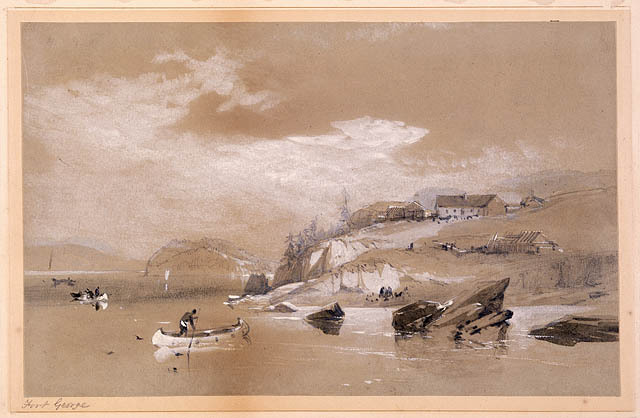 R. M'Clure, 1850, 1851, 1852, 1853, 1854; Robert McClure. 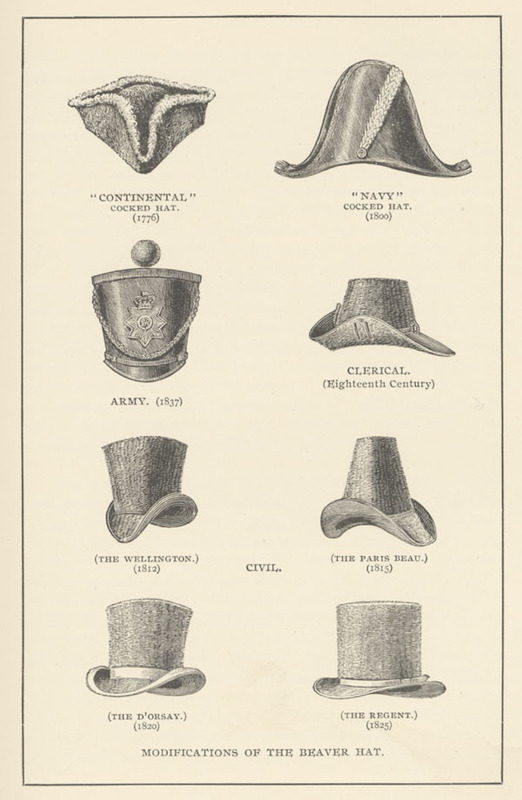 Londres, Longman, Brown, Green, Longman et Roberts, 1857. 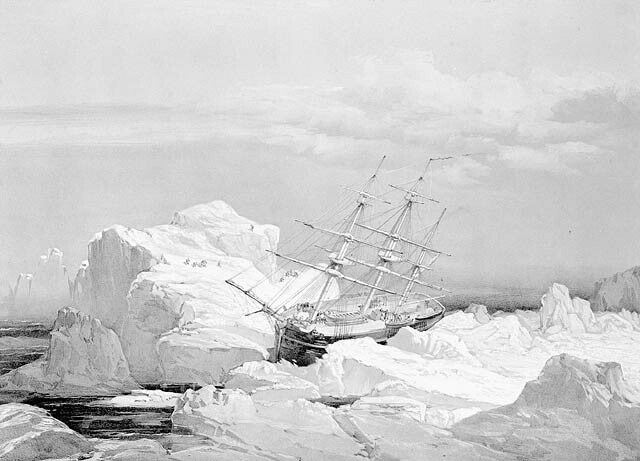 The Discovery of the North-West Passage by H.M.S. 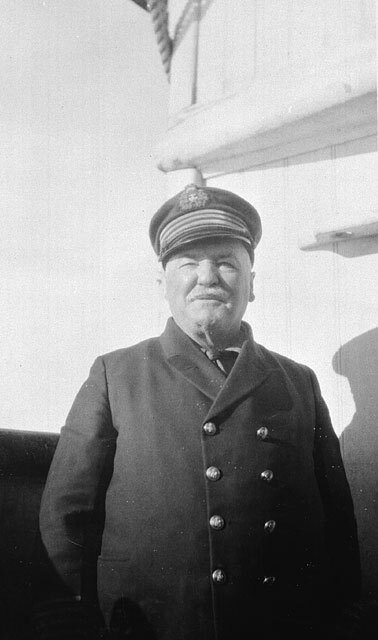 "Investigator" Capt. R. M'Clure, 1850, 1851, 1852, 1853, 1854; Robert McClure. 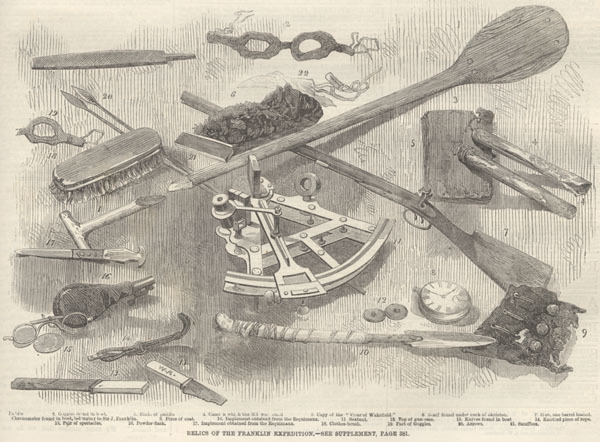 Londres, Longman, Brown, Green, Longman et Roberts 1857. 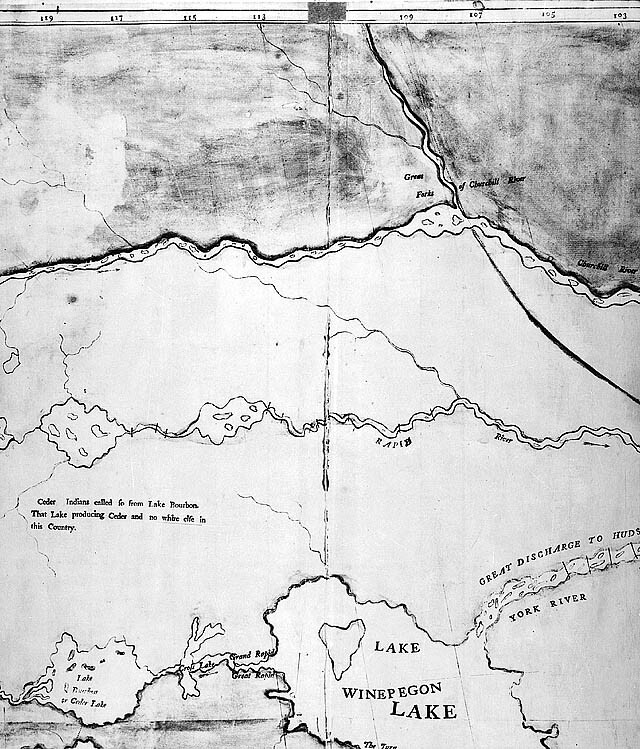 Explorations in the Interior of the Labrador Peninsula, the Country of the Montagnais and Nasquapee Indians; Henry Youle Hind, Londres, Longman, Green, Roberts, Longman, et Green, 1863. 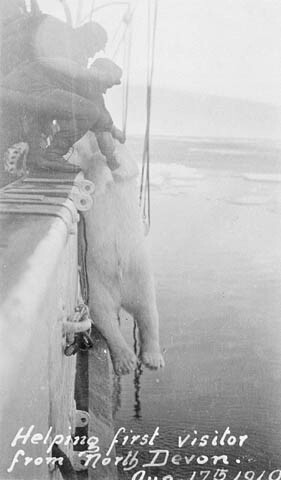 Amundsen, Roald. 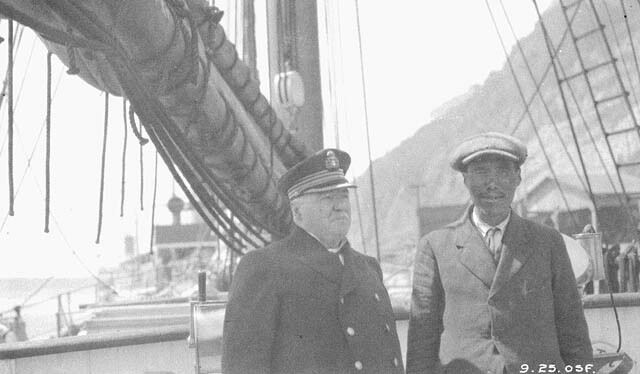 Roald Amundsen's "The North West Passage" Being the Record of a Voyage of Exploration of the Ship "Gjøa", 1903-1907. Londres, Archibald Constable, 1908. 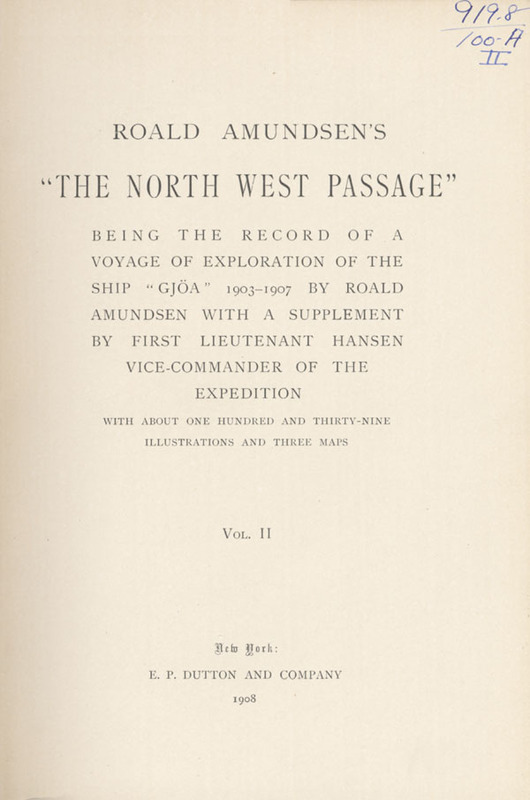 Roald Amundsen's The North West Passage: Being a Record of a Voyage of Exploration of the ship Gjöa, 1903-1907; Roald Amundsen. New York: Dutton, 1908. 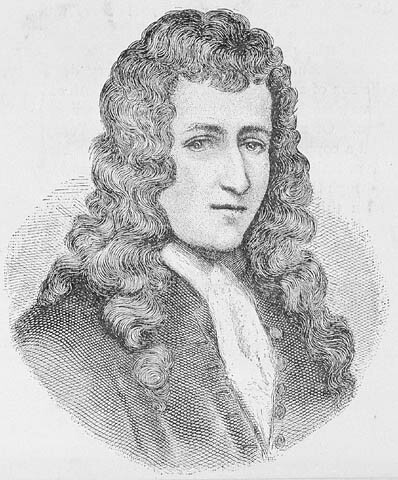 Thévet, André. 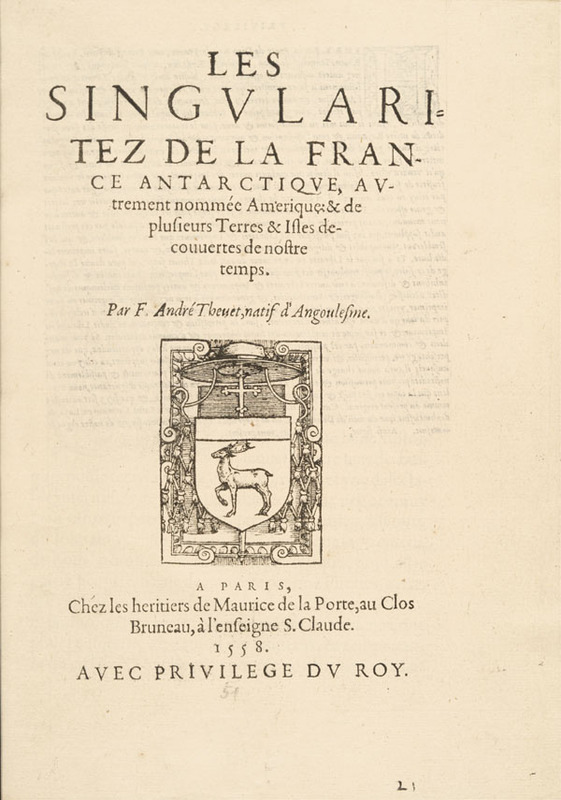 Les Singularitez de la France antarctique, autrement nommée Amerique, & de plusieurs terres & isles decouvertes de nostre temps. 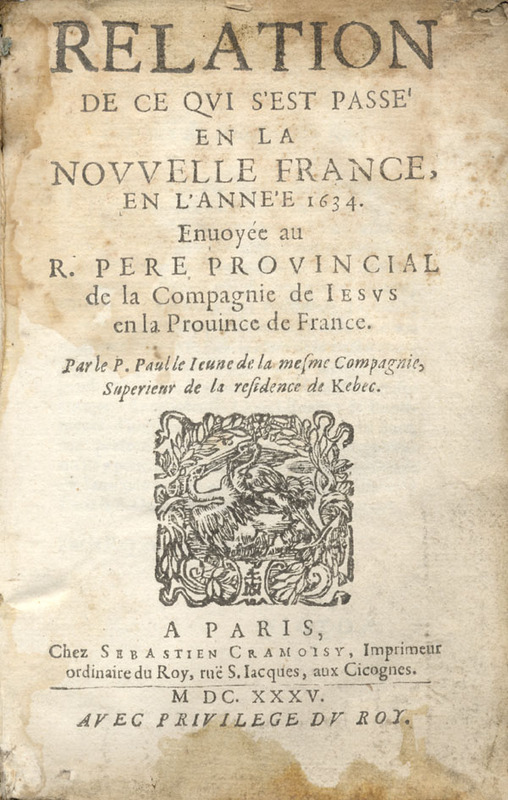 Paris, Héritiers de Maurice de la Porte, 1558. 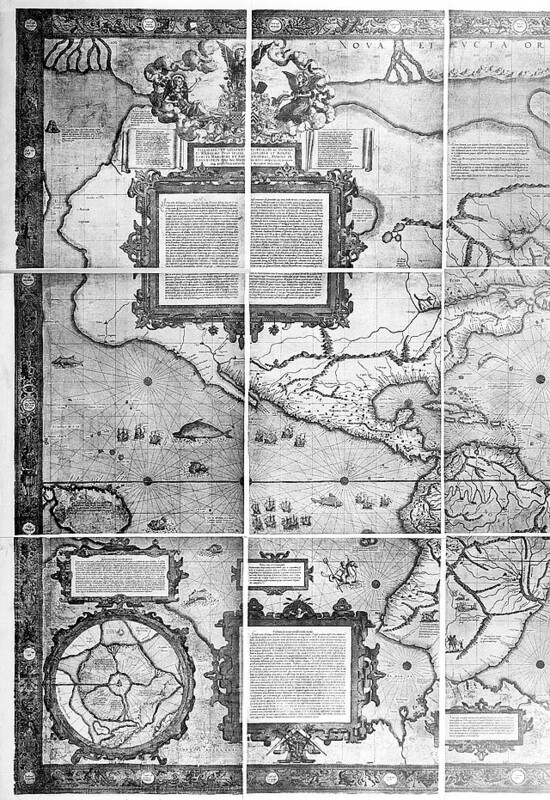 Columbus, Christopher. 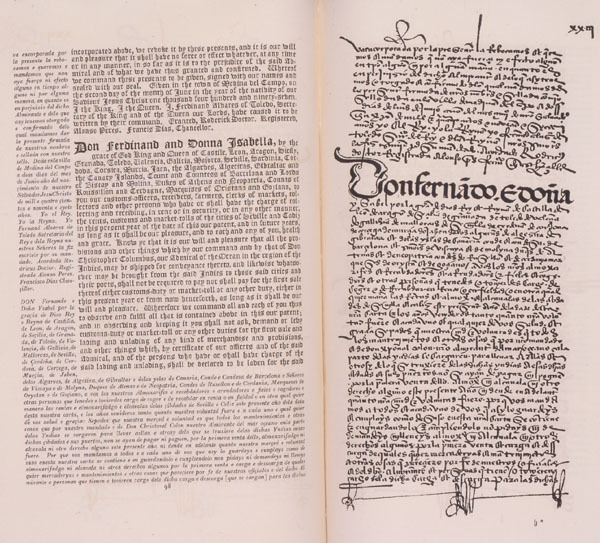 Christopher Columbus: His own Book of Privileges, 1502. Londres, B. F. Stevens, 1893. Thwaites, Reuben Gold, dir. 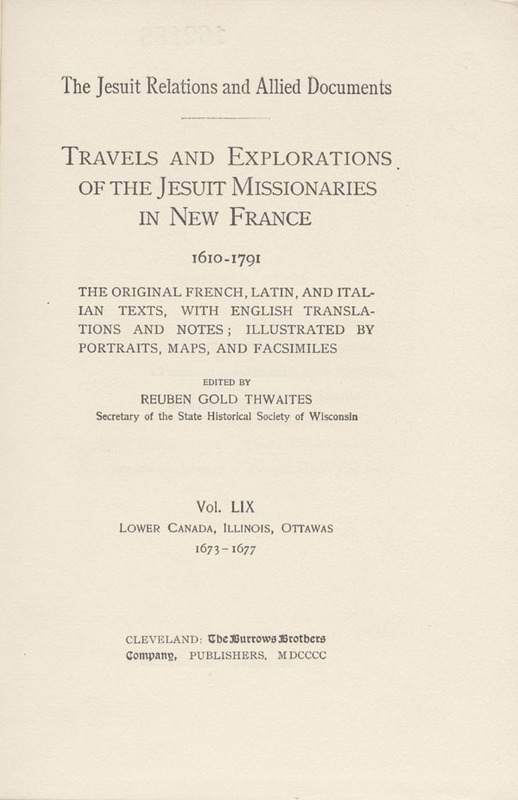 The Jesuit Relations and Allied Documents: Travels and Explorations of the Jesuit Missionaries in New France, 1610-1791, vol. 59, Cleveland, The Burrows Brothers Company, . 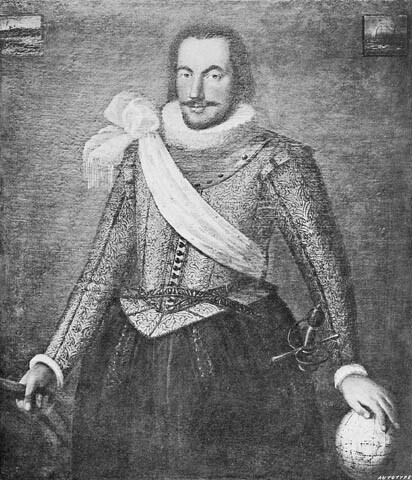 Tonti, Henri de. 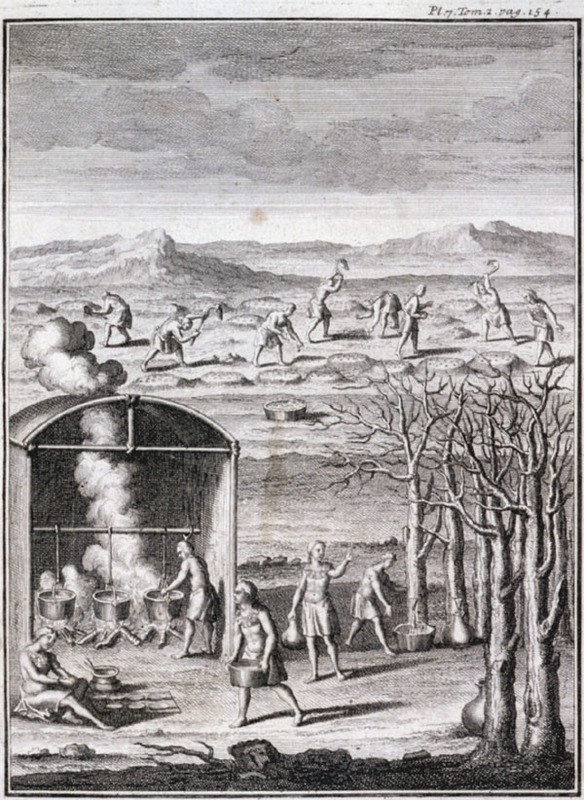 Dernières Découvertes dans l'Amérique septentrionale de M. de la Sale…, Paris, Jean Guignard, 1697. 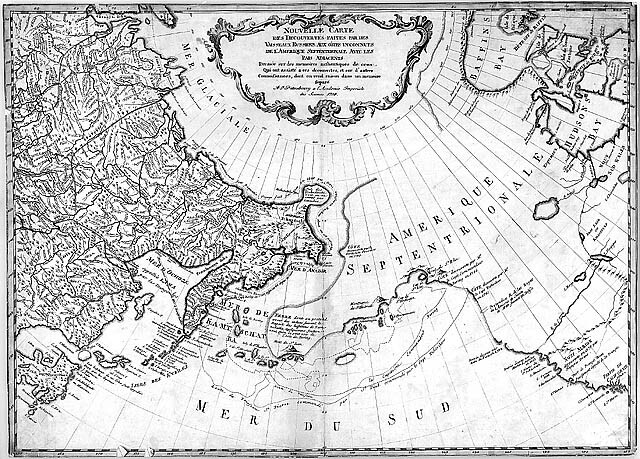 Reproduit avec l'autorisation de The Champlain Society. 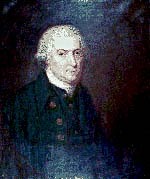 La Vérendrye, Pierre Gaultier de Varennes. 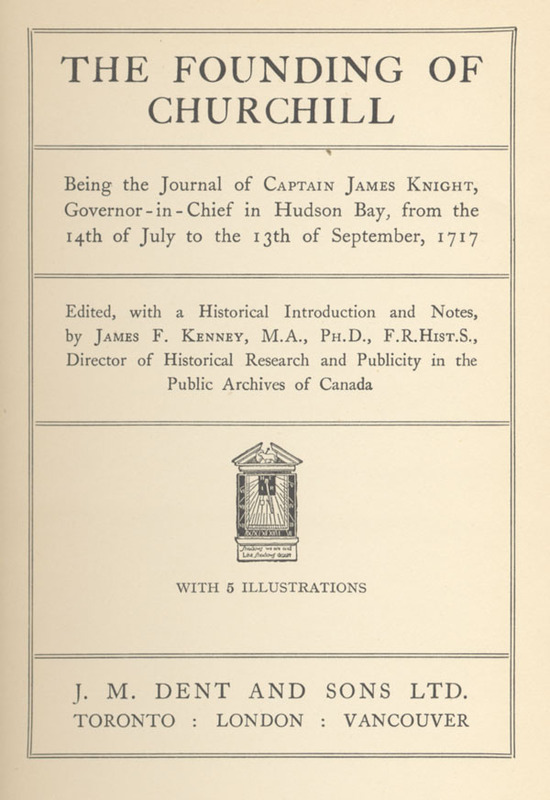 Journals and Letters of Pierre Gaultier de Varennes de La Vérendreye and his Sons, With Correspondence Between the Governors of Canada and the French Court, Touching the Search for the Western Sea, Toronto, The Champlain Society, 1927. 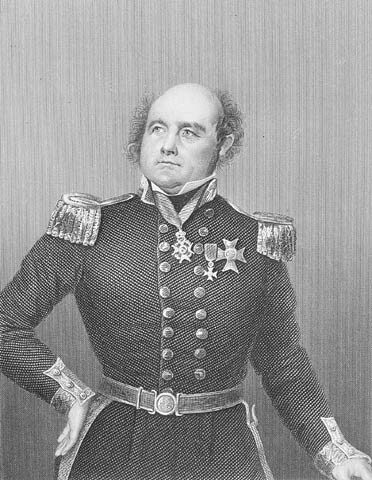 Mackenzie, Sir Alexander. 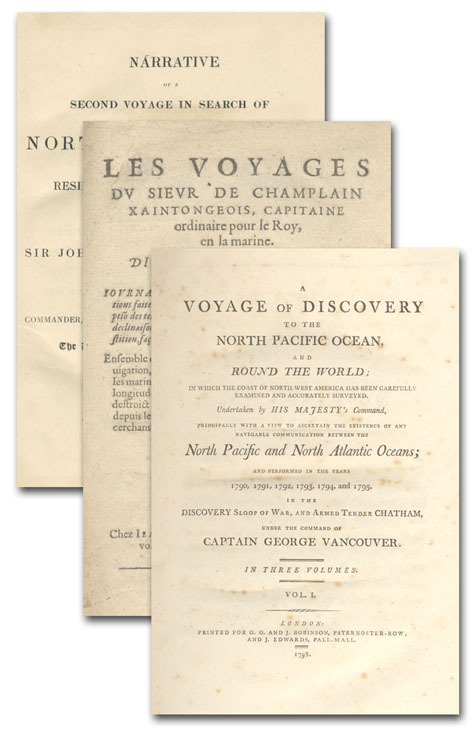 Voyages From Montreal […] to the Frozen and Pacific Oceans; In the Years 1789 and 1793. 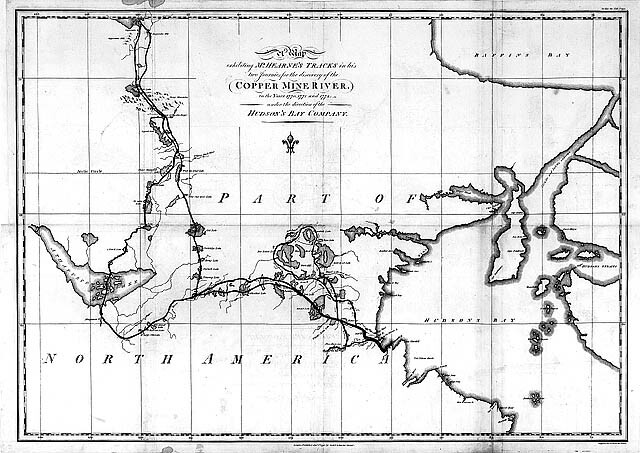 Londres, R. Noble, 1801.
ompagnie de Jésus. 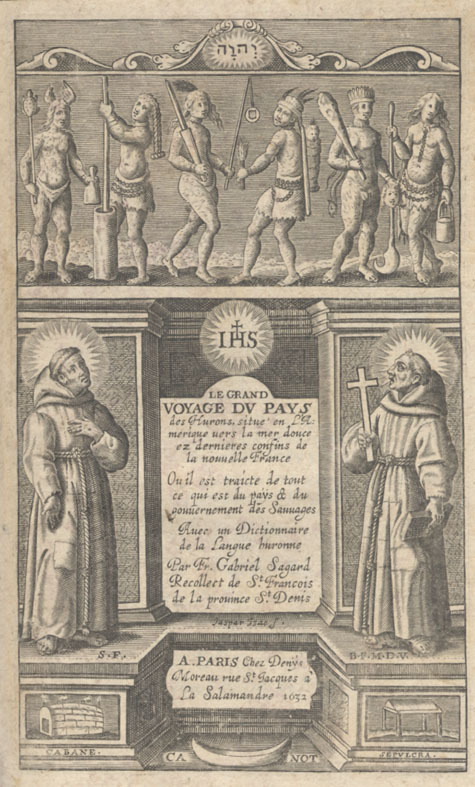 Relation de ce qui s'est passé de plus remarquable aux missions des peres de la Compagnie de Jesus en la Nouvelle France, les années 1671 & 1672, Paris, Sebastien Mabre-Cramoisy, 1673. 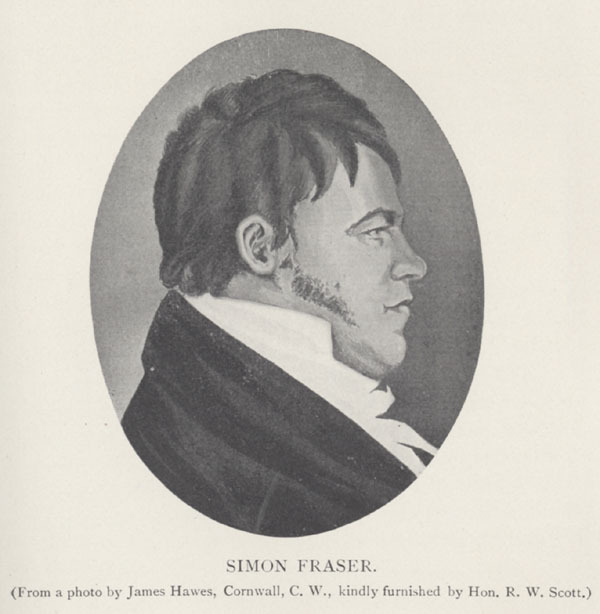 Fraser, Simon. 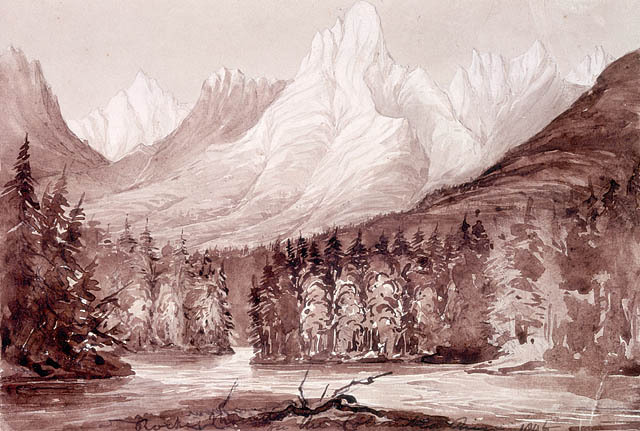 Journal of a Voyage From the Rocky Mountains to the Pacific Ocean Performed in the Year 1808, Toronto, Metropolitan Toronto City Library, . Tyrrell, J. B., dir. 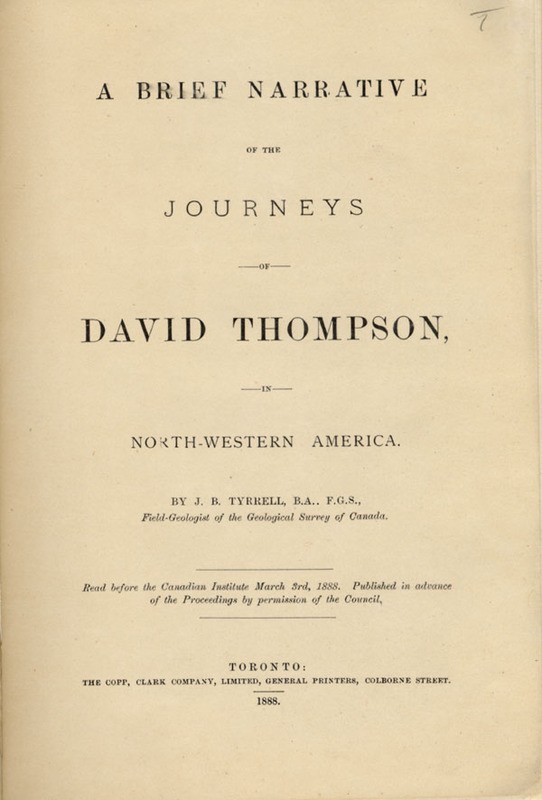 A Brief Narrative of the Journeys of David Thompson in North-Western America. 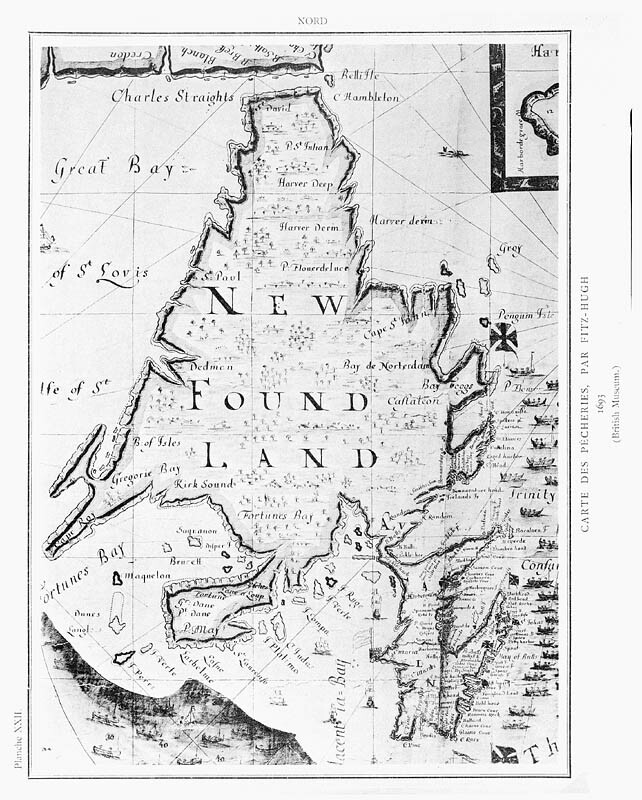 Toronto, The Copp, Clark Co., 1888. Cook, James. 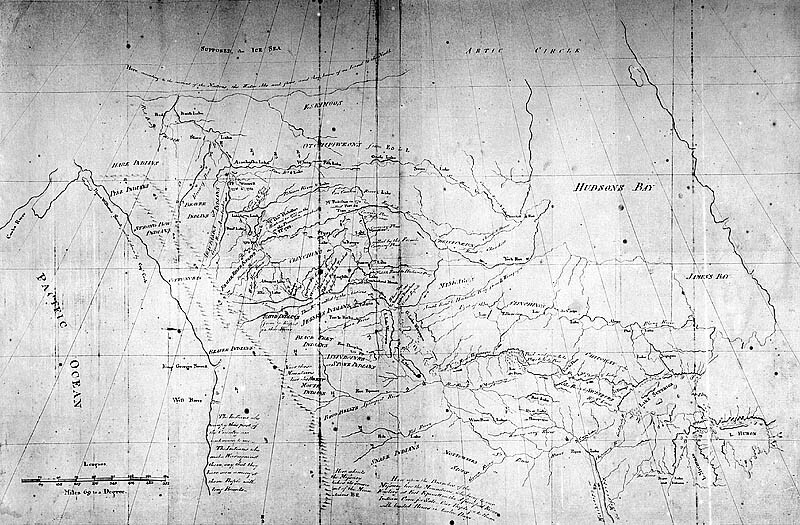 A Voyage to the Pacific Ocean Undertaken by the Command of His Majesty for Making Discoveries in the Northern Hemisphere to Determine the Position and Extent of the West Side of North America; Its Distance From Asia; And the Practicability of a Northern Passage to Europe. Londres, W.A. 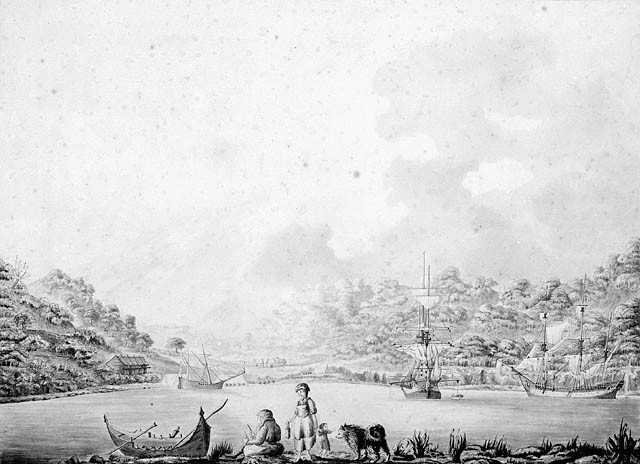 Strahan, 1784. Vancouver, George. 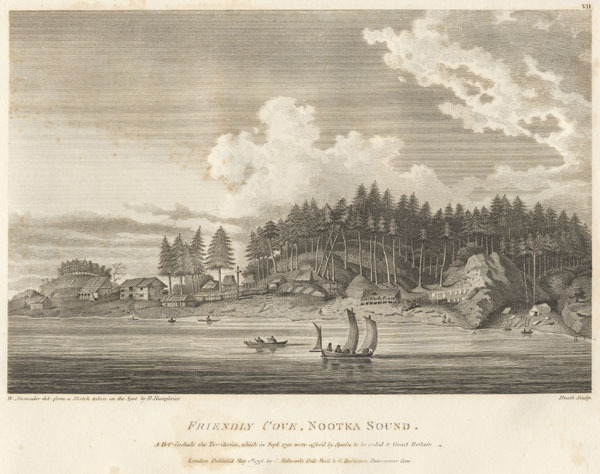 A Voyage of Discovery to the North Pacific Ocean […...] in Which the Coast of North-West America Has Been Carefully Examined and Accurately Surveyed [...] and Performed in the Years 1790, 1791, 1792, 1793, 1794, and 1795 [...]. Londres, G.G. 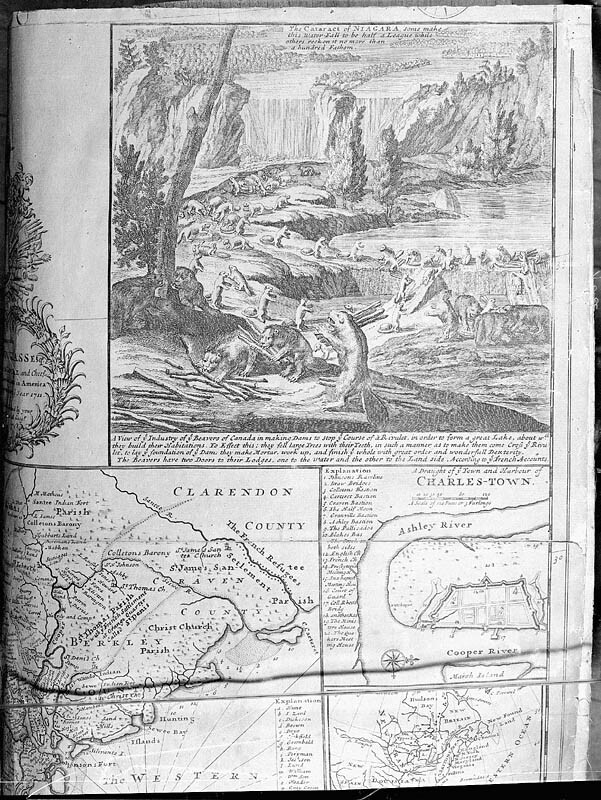 et J. Robinson, et J. Edwards, 1798. 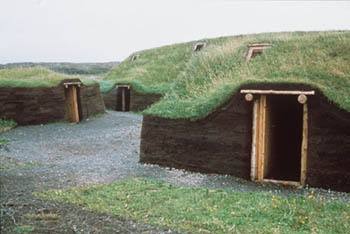 Lisiansky, Urey. 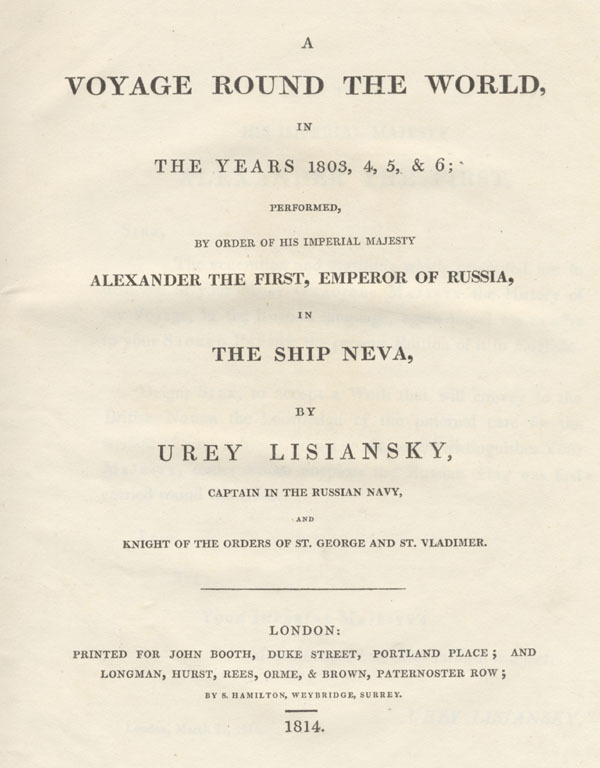 A Voyage Round the World in the Years, 1803, 1804, 1805, and 1806, Performed by Order of His Imperial Majesty Alexander the First, Emperor of Russia, in the Ship Neva, Londres, imprimée pour John Booth, et Longman, Hurst, Rees, Orme et Brown, par S. Hamilton, Weybridge, Surrey, 1814. 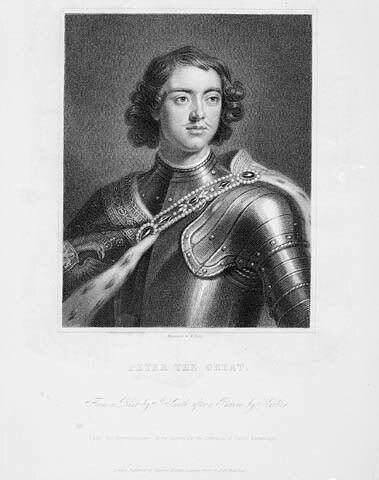 Parry, W.E. 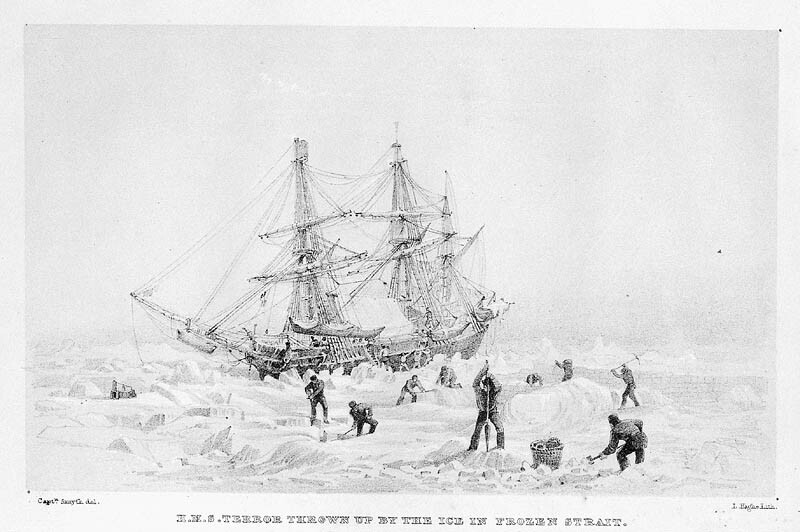 Three Voyages for the Discovery of a Northwest Passage From the Atlantic to the Pacific and Narrative of an Attempt to Reach the North Pole, vol. 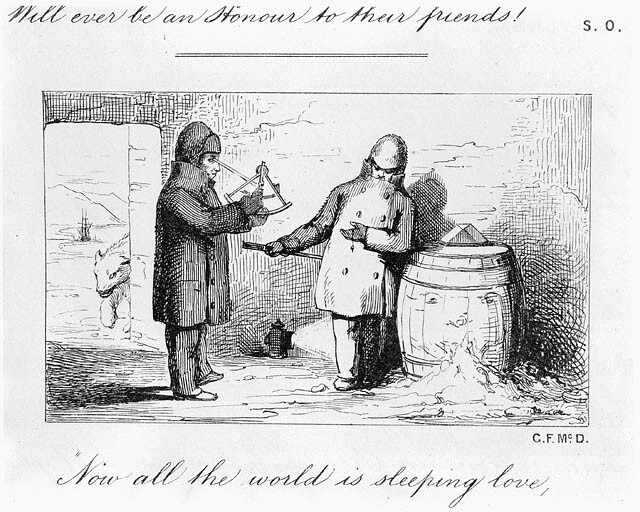 1, New York, Harper & Brothers, 1840. Franklin, Sir John. 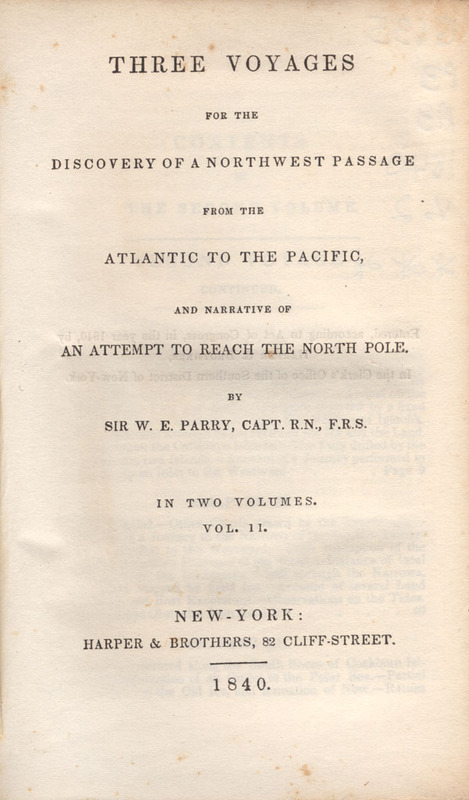 Narrative of a Second Expedition to the Shores of the Polar Sea, in the Years 1825, 1826 and 1827, Philadelphie, Carey, Lea, et Carey, 1828. Franklin, Sir John. 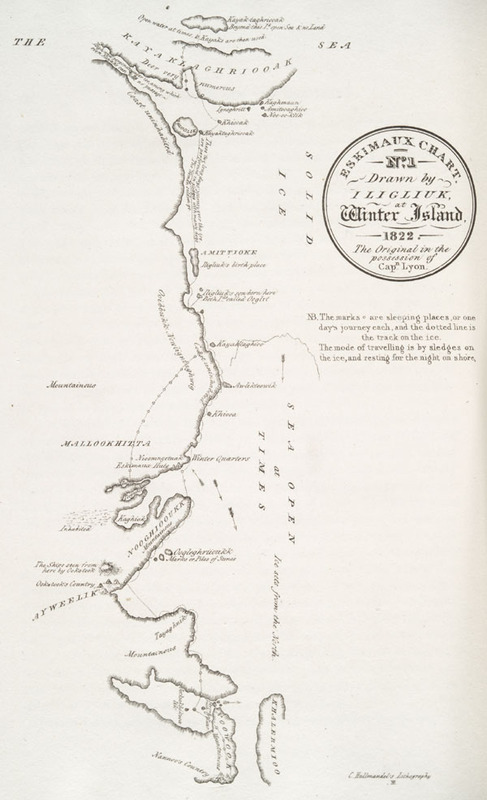 Narrative of a Journey to the Shores of the Polar Sea in the Years 1819, 20, 21, and 22 […], Londres, J. Murray, 1823. 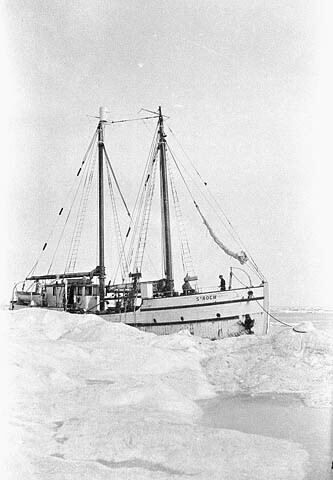 McClure, Robert. 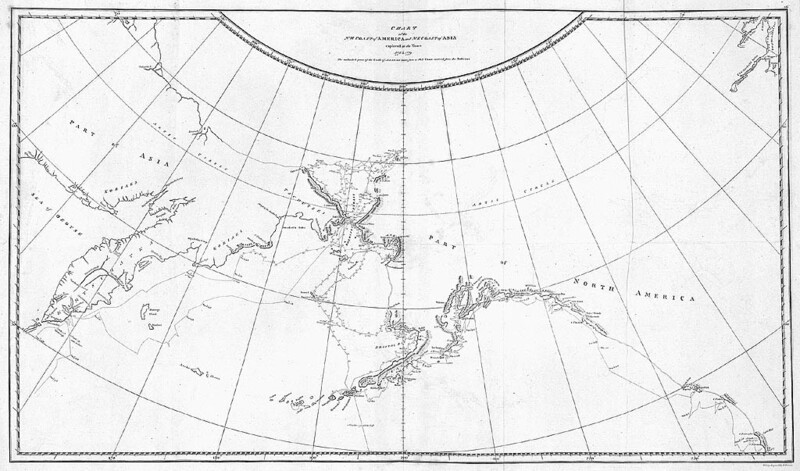 The Discovery of the North-West Passage by H.M.S. "Investigator," Capt. R. M'Clure, 1850, 1851, 1852, 1853, 1854. 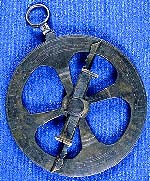 2ième éd. 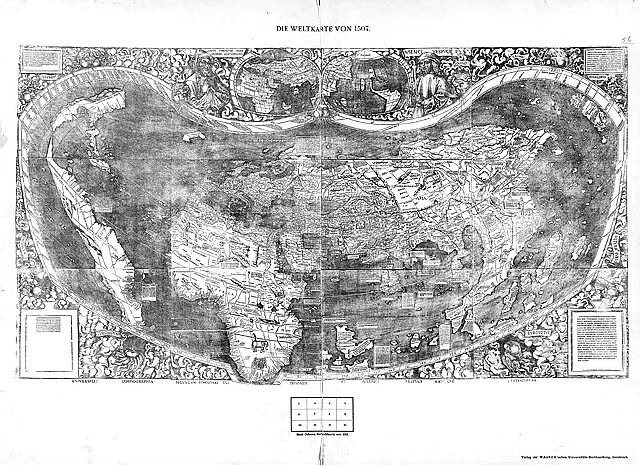 Edinburgh et Londres, Longman, Brown, Green, Longman & Roberts, 1857. 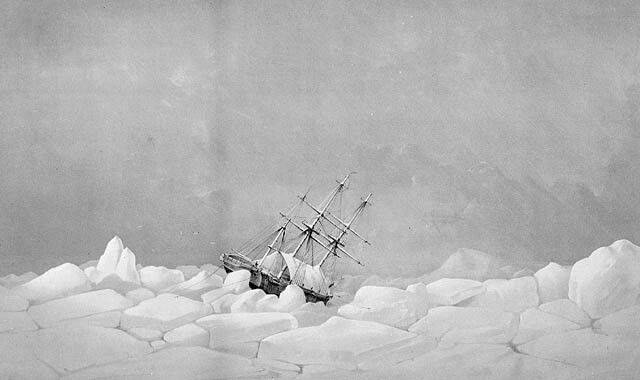 Hind, Henry Youle. 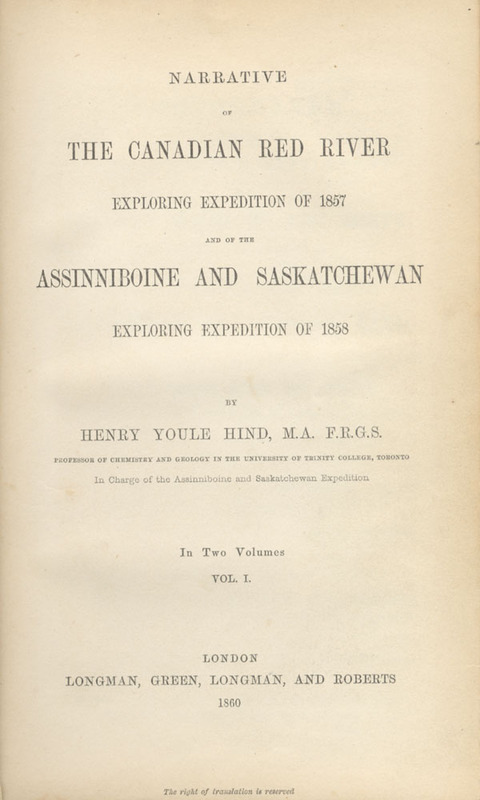 Narrative of the Canadian Red River Exploring Expedition of 1857, and of the Assiniboine and Saskatchewan Exploring Expedition of 1858, vol. 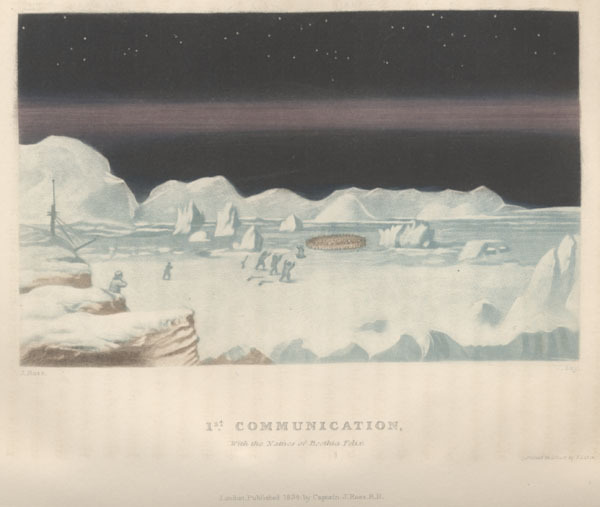 1, Londres, Longman, Green, Longman et Roberts, 1860. 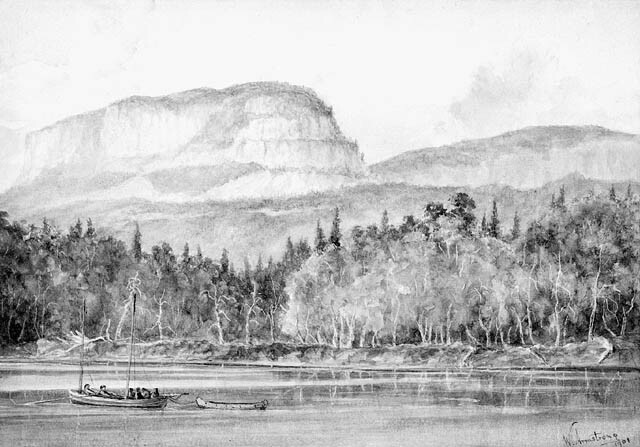 Palliser, John. 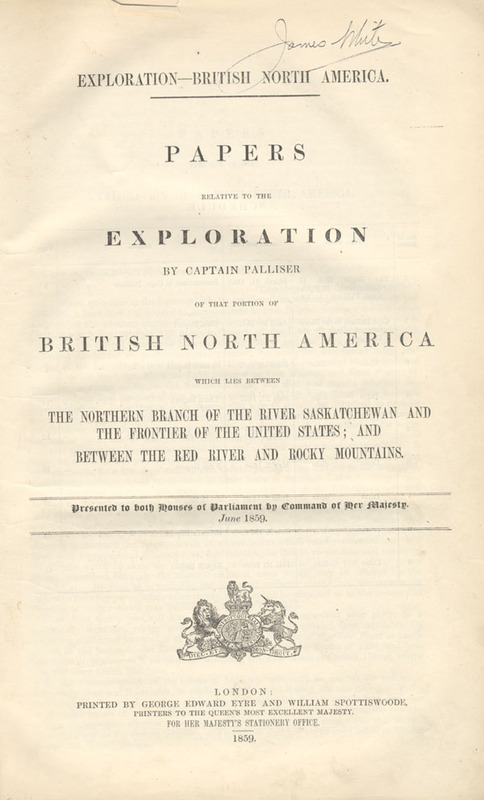 Exploration -British North America: Further Papers Relative to the Exploration by the Expedition Under Captain Palliser of That Portion of British North America Which Lies Between the Northern Branch of the River Saskatchewan and the Frontier of the United States and Between the Red River and the Rocky Mountains and Thence to the Pacific Ocean, Londres, imprimé par G. E. Eyre et W. Spottiswoode pour Her Majesty's Stationery Office, 1860. 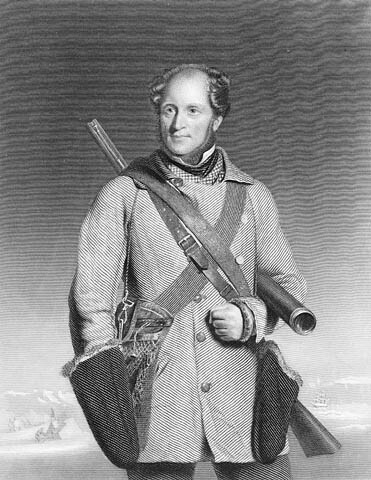 Bernier, J.E. 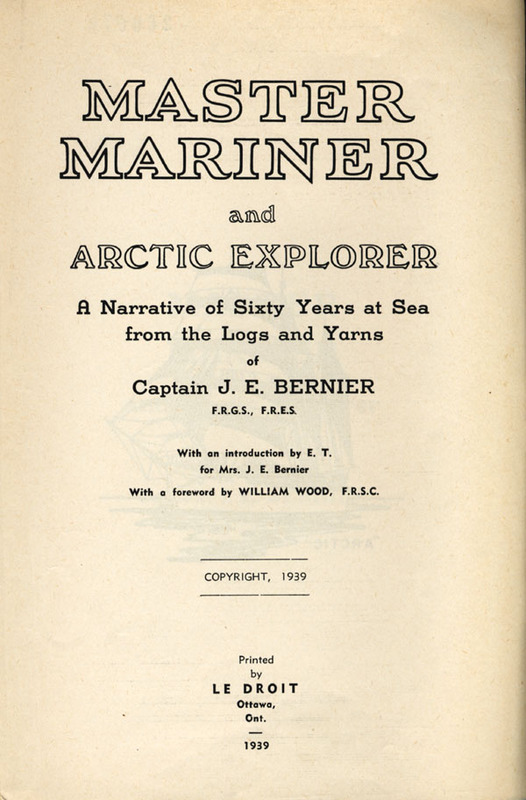 Master Mariner and Arctic Explorer: A Narrative of Sixty Years at Sea From the Logs and Yarns of Captain J. E. Bernier, Ottawa, imprimé par Le Droit, 1939. Lind, James. 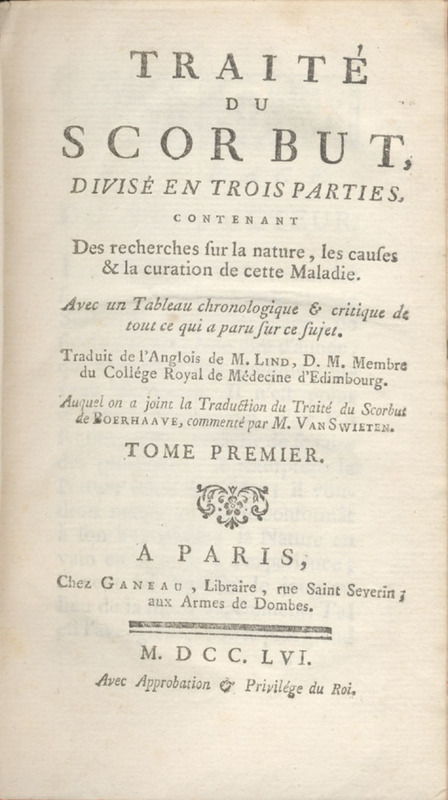 Traité du scorbut: divisé en trois parties: contenant des recherches sur la nature, les causes & la curation de cette maladie[…]. 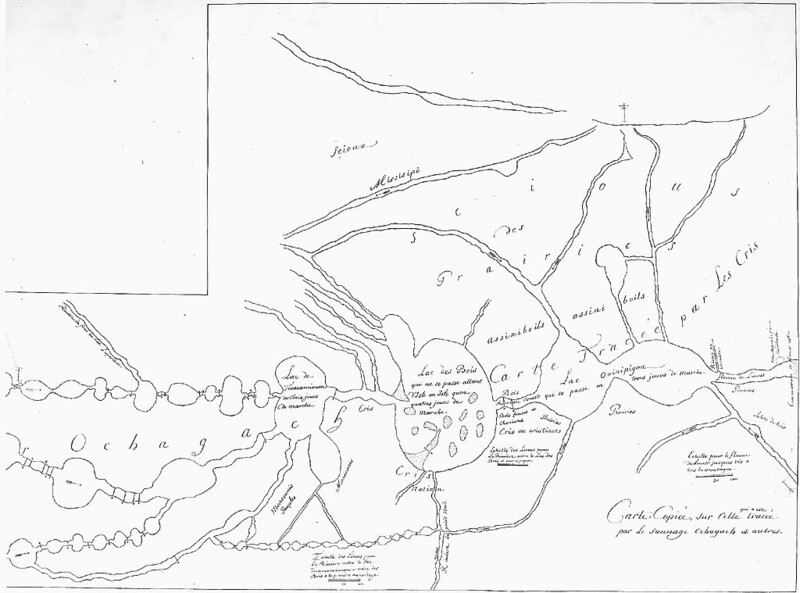 Paris, Ganeau, 1756. [haut] Vancouver, George. 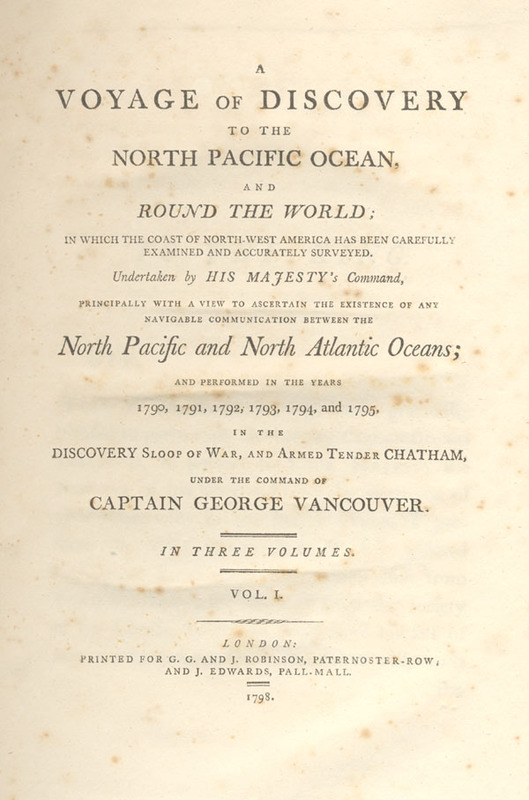 A Voyage of Discovery to the North Pacific Ocean […] in Which the Coast of North-West America Has Been Carefully Examined and Accurately Surveyed […] and Performed in the Years 1790, 1791, 1792, 1793, 1794, and 1795 […]…, Londres, G. G. et J. Robinson, et J. Edwards, 1798. 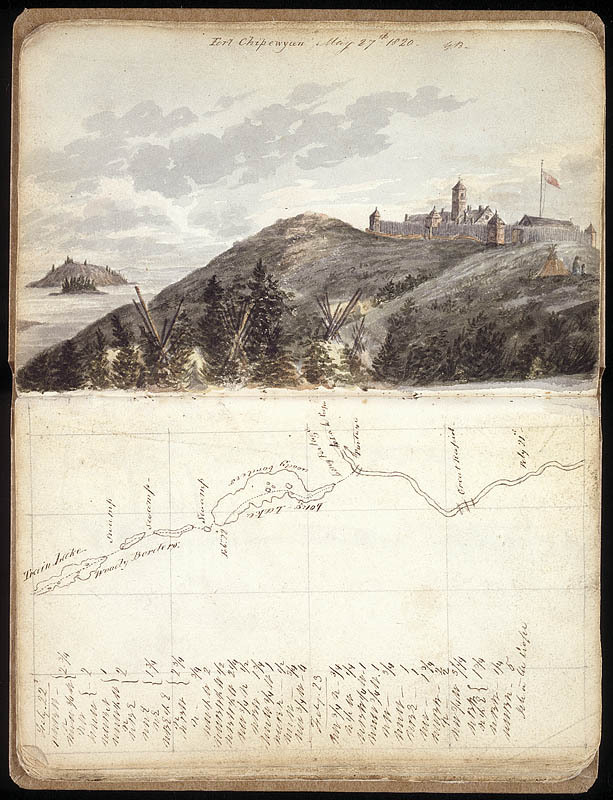 [milieu] Champlain, Samuel de. 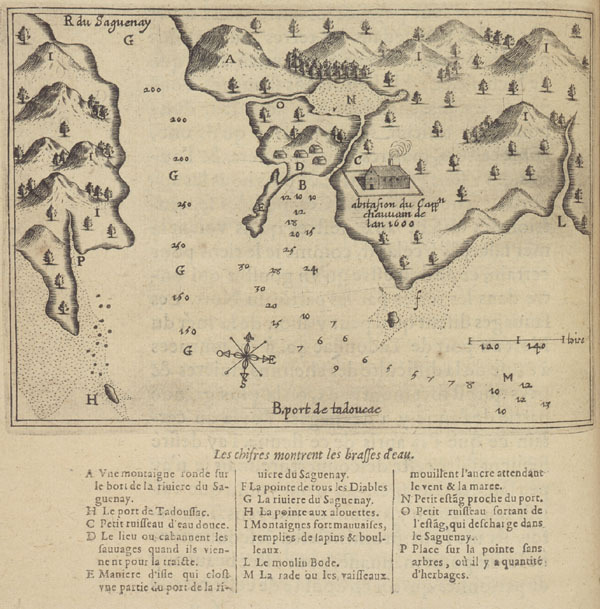 Les Voyages de sieur de Champlain, Xaintongeois, capitaine ordinaire pour le Roy en la marine, depuis l'année 1608 jusques en 1612, Paris, Jean Berjon, 1613. 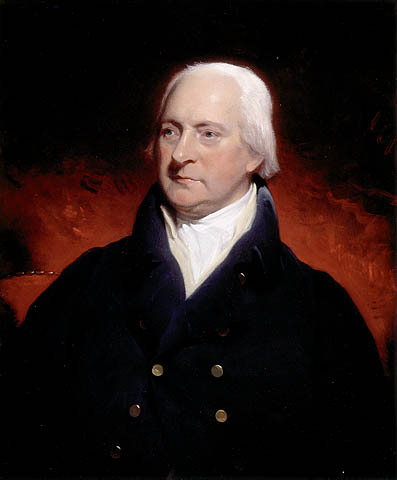 [bas] Ross, Sir James Clark. 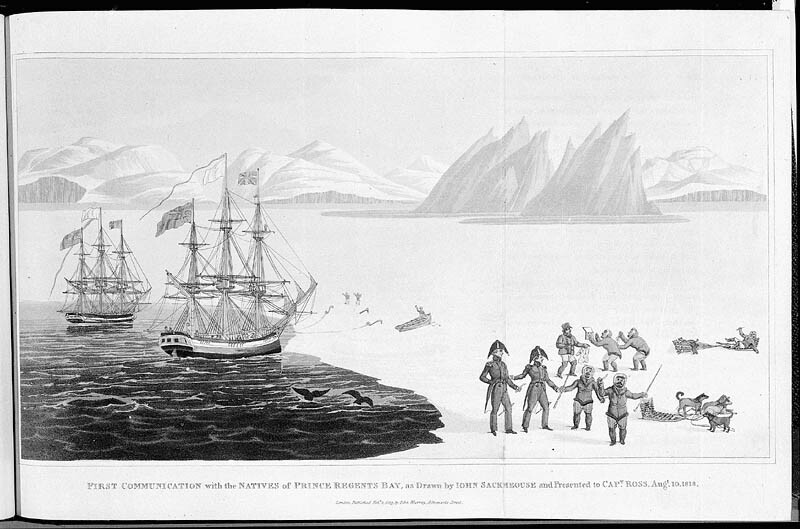 Narrative of a Second Voyage in Search of North-West Passage, and of a Residence in the Arctic Regions During the Years, 1829, 1830, 1831, 1832, 1833, Paris, A. et W. Galignani, 1835. 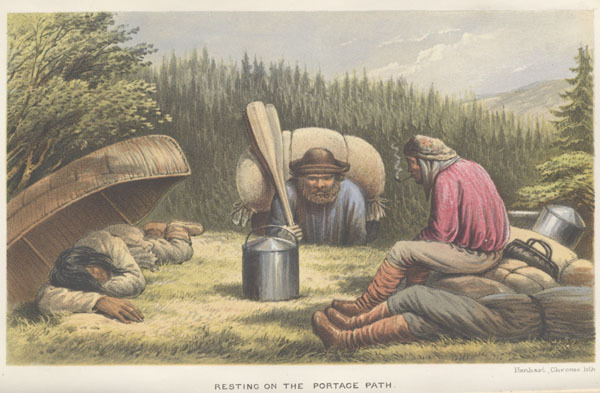 Castorologia, Or, The History and Traditions of the Canadian Beaver: An Exhaustive Monograph…, Horace T. Martin, Montréal, W. Drysdale; Londres, E. Stanford, 1892. 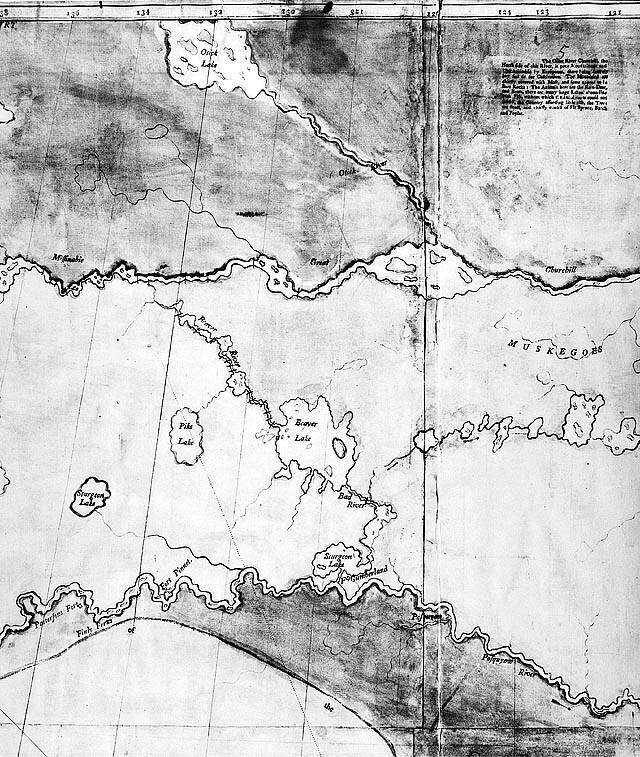 Crédit : Bibliothèque et Archives Canada /C-145848/C-141382/C-145461. Acquis grâce à l'aide de Hoechst and Celanese Canada avec l'autorisation de Patrimoine canadien en vertu de la Loi sur l'exportation et l'importation de biens culturels. Ross, John, Sir. 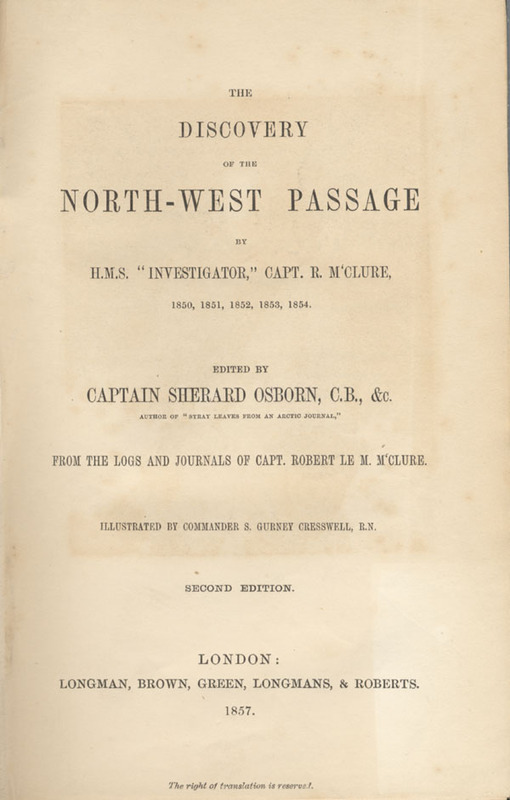 Narrative of a Second Voyage in Search of North-West Passage, and of a Residence in the Arctic Regions During the Years 1829, 1830, 1831, 1832, 1833 Londres, A. W. Webster, 1835. 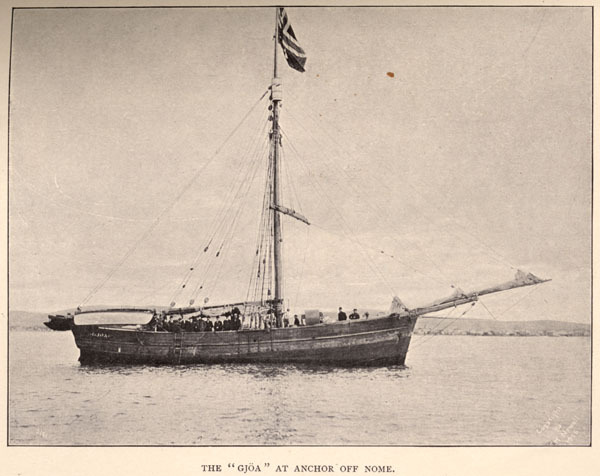 Roald Amundsen's The North West Passage: Being a Record of a Voayage of Exploration of the ship Gjöa, 1903-1907, Roald Amundsen, New York, Dutton, 1908. 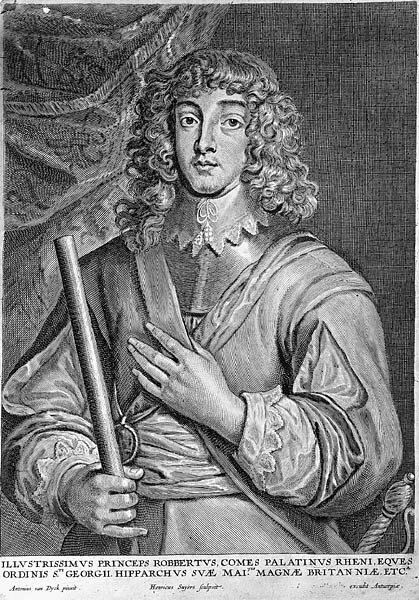 Champlain, Samuel de. 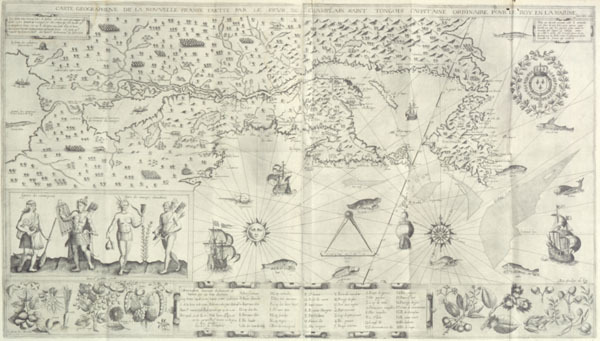 Les Voyages de sieur de Champlain, Xaintongeois, capitaine ordinaire pour le Roy en la marine, depuis l'année 1608 jusques en 1612, Paris, Jean Berjon, 1613. 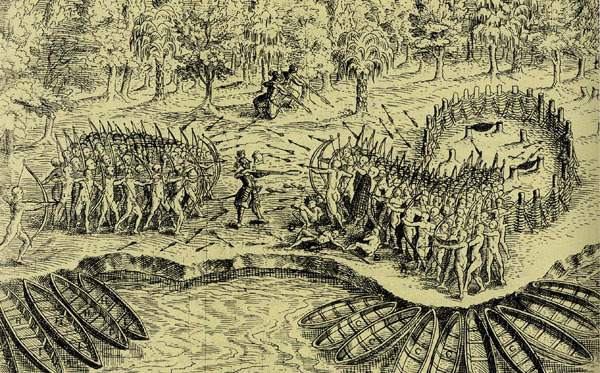 Champlain, Samuel de. 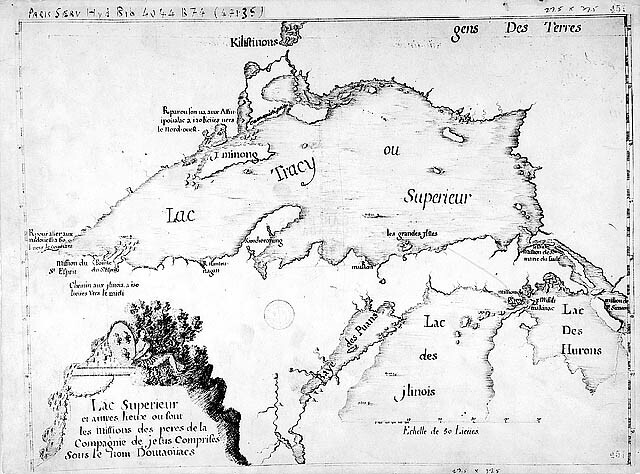 Les Voyages de sieur de Champlain, Xaintongeois, capitaine ordinaire pour le Roy en la marine, depuis l'année 1608 jusques en 1612. 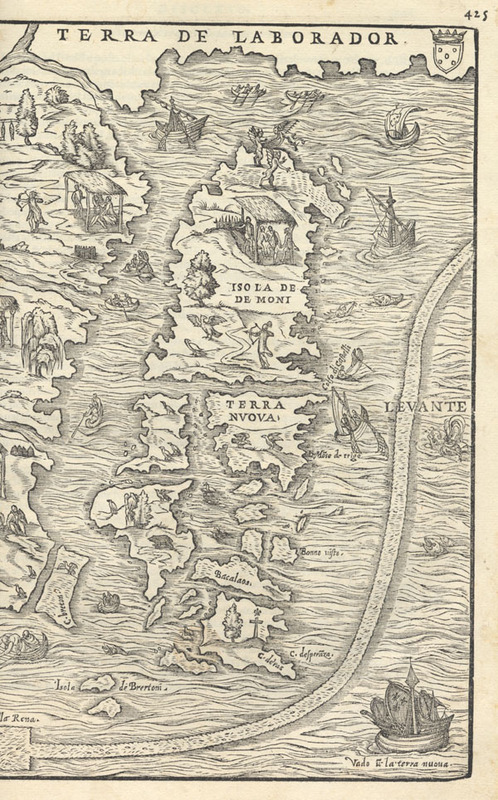 Paris, Jean Berjon, 1613. 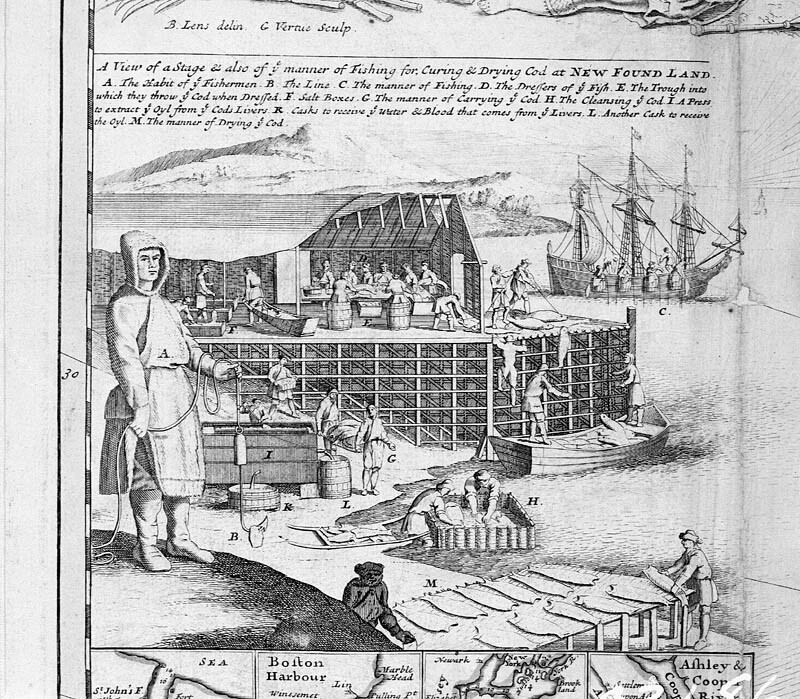 A Voyage to Hudson's Bay, by the Dobbs Galley and California, in the years 1746 and 1747… Londres, H. Whitridge, 1748. 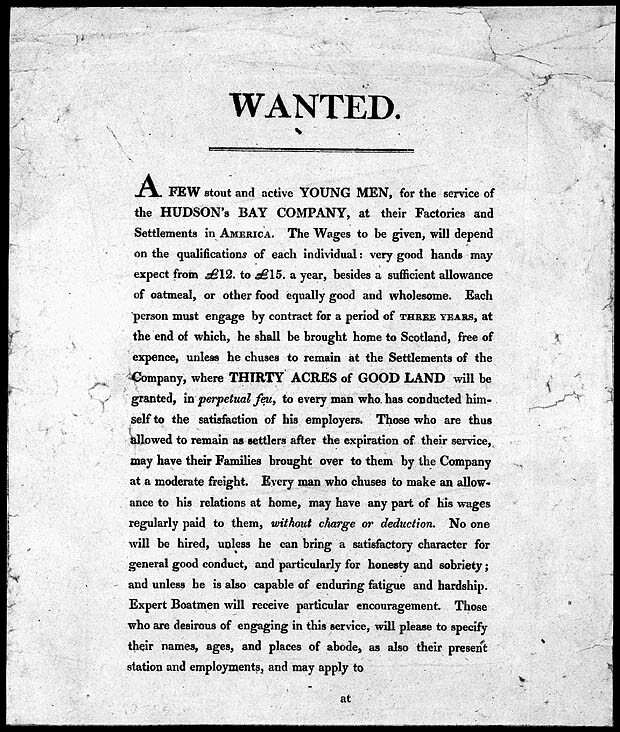 Mackenzie, Alexander, Sir. 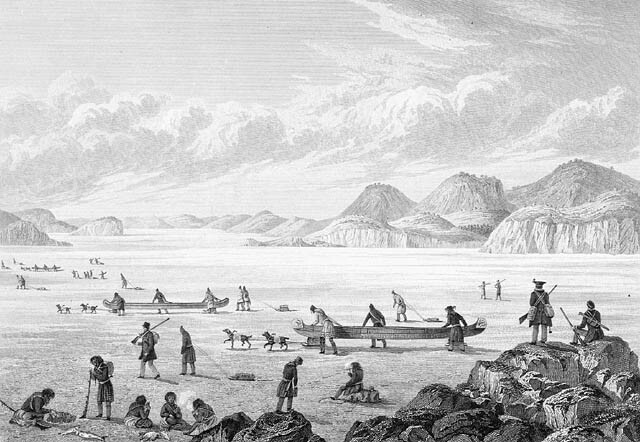 Voyages from Montreal… to the Frozen and Pacific Oceans, in the Years 1789 and 1793. Londres, R. Noble, 1801. Tyrell, J. B., dir. 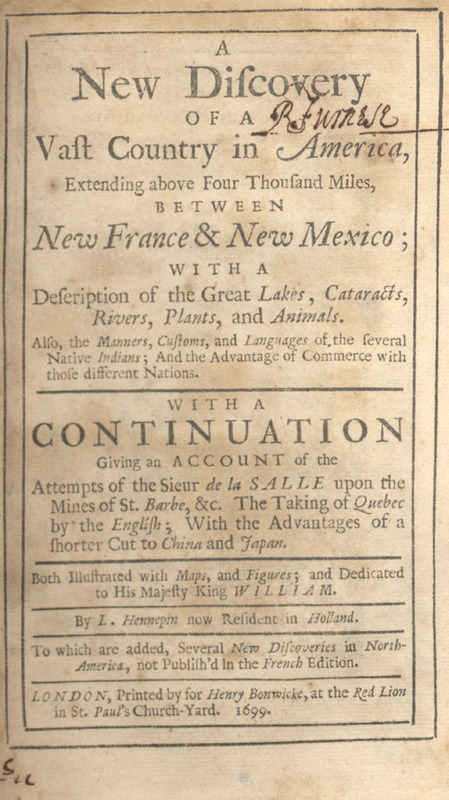 David Thompson's Narrative of His Explorations in Western America, 1784-1812. 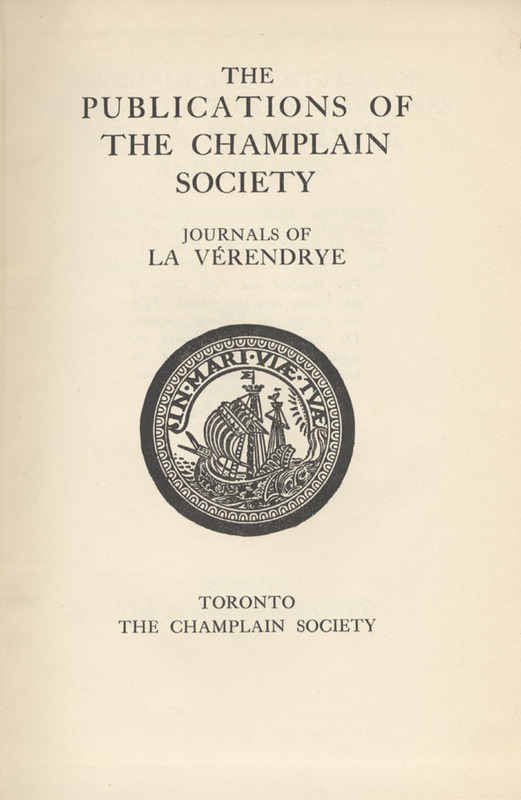 Toronto, The Champlain Society, 1916. 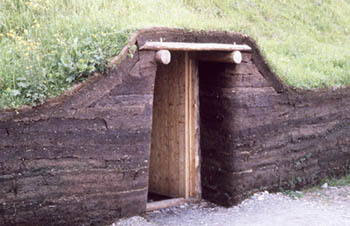 Barrow, John, Sir. 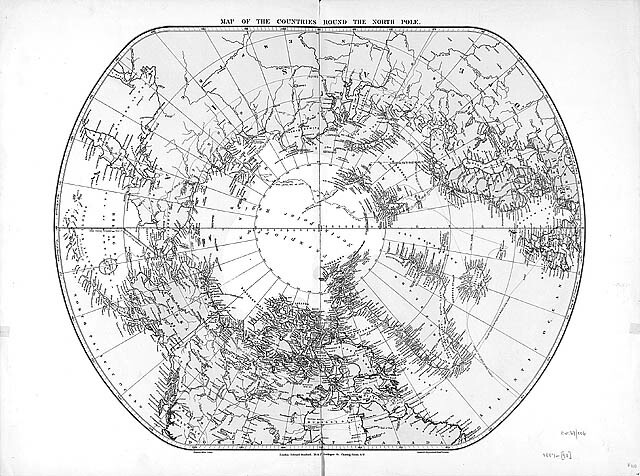 A Chronological History of Voyages into the Arctic Regions: Undertaken Chiefly for the Purpose of Discovering a North-East, North-West, or Polar Passage Between the Atlantic and Pacific […]. 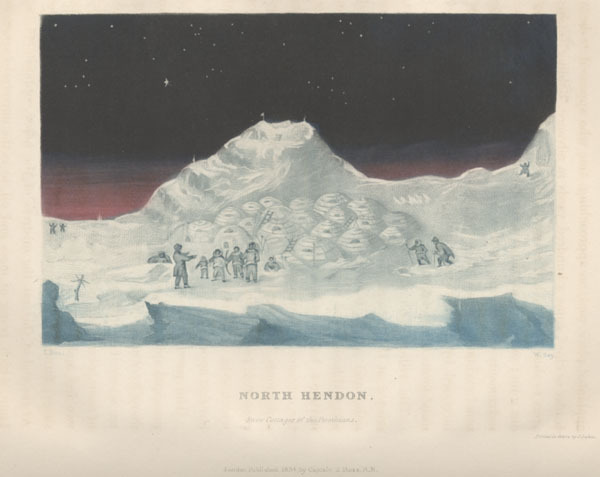 London: J. Murray, 1818. Ross, John, Sir. 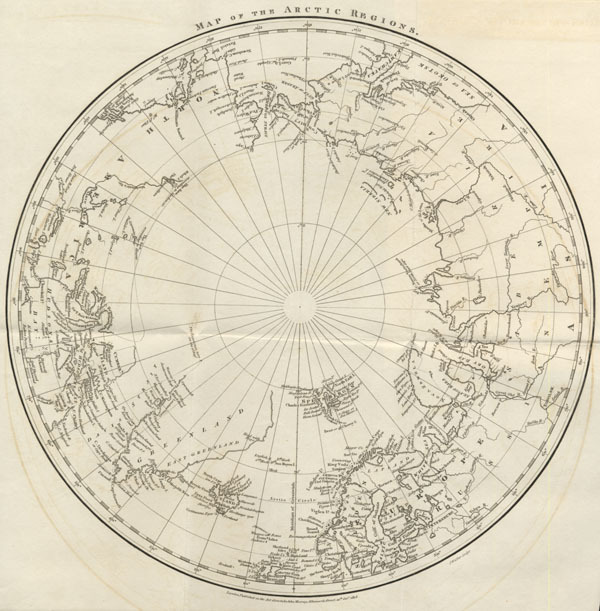 Narrative of a Second Voyage in Search of North-West Passage and of a Residence in the Arctic Regions During the Years 1829, 1830, 1831, 1832, 1833. Londres, A.W. 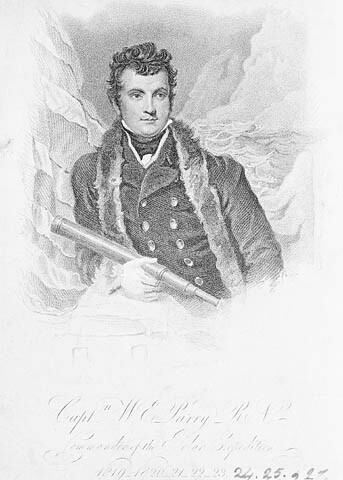 Webster, 1835. 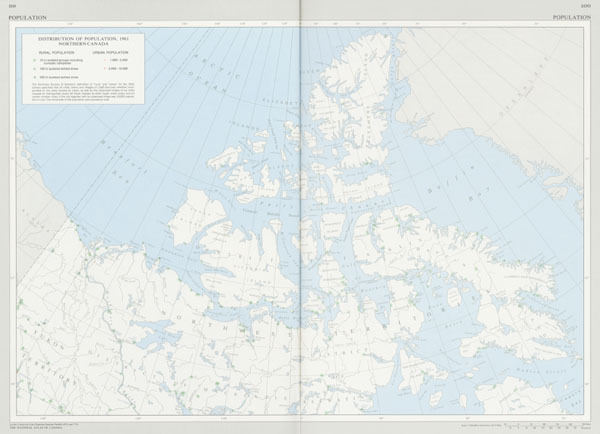 © CDG Books Canada Inc.
Reproduit avec l'authorization de CDG Books Canada Inc. 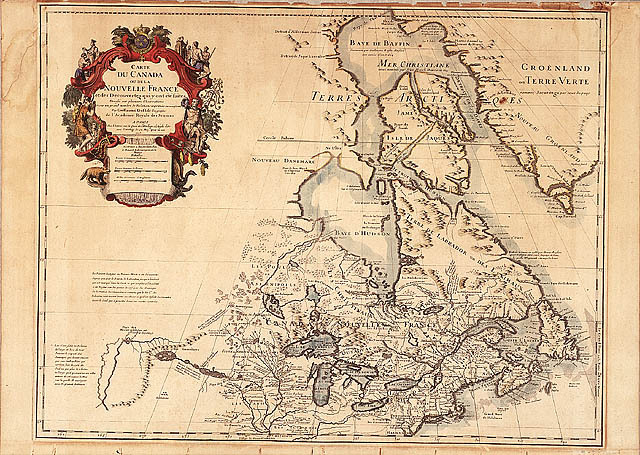 The National Atlas of Canada. 4e édition, Toronto, Macmillan Company of Canada, 1974. 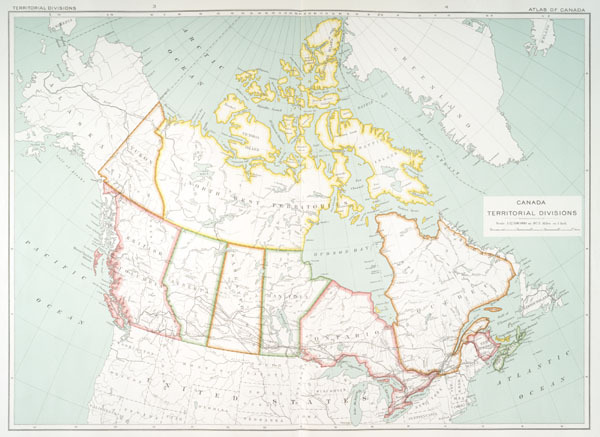 Atlas of Canada, édition revue et augmentée, préparée sous la direction de J. E. Chalifour, géographe en chef, [Ottawa], Ministère de l'Intérieur du Canada, 1915. Davis, John. 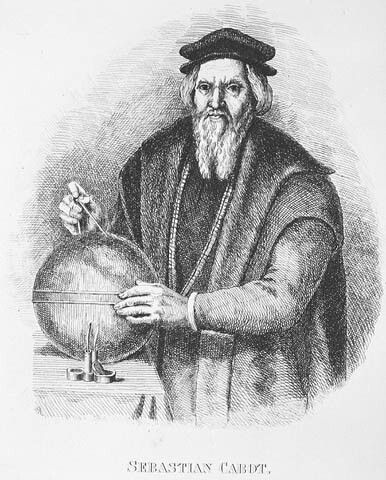 The Voyages and Works of John Davis, the navigator. 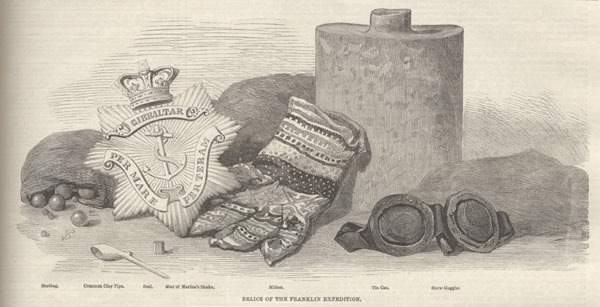 Londres, imprimé pour la Hakluyt Society, 1880. 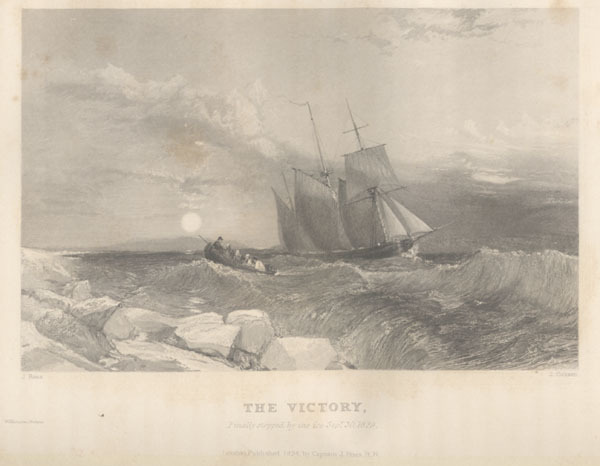 Champlain, Samuel de. 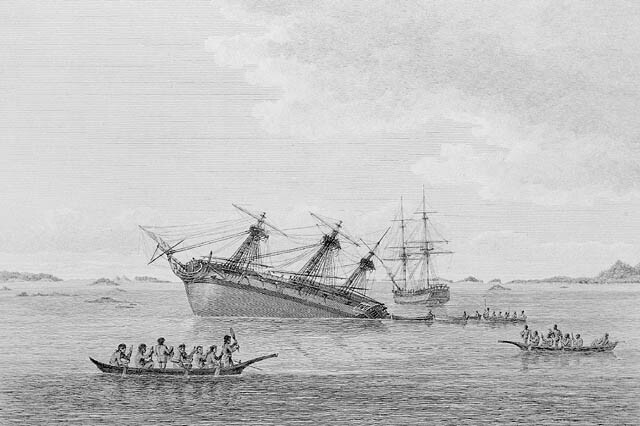 Les Voyages de la Nouvelle France occidentale, dicte Canada: faite par le Sr. De Champlain, Xainctongeois, pour le Roy en la Marine du Ponant. 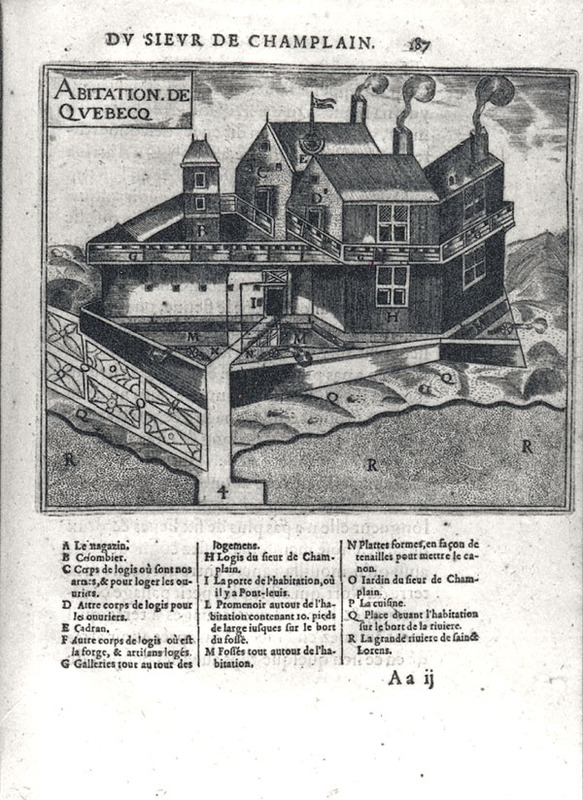 Paris, Louis Sevestre, 1632. Hennepin, Louis. 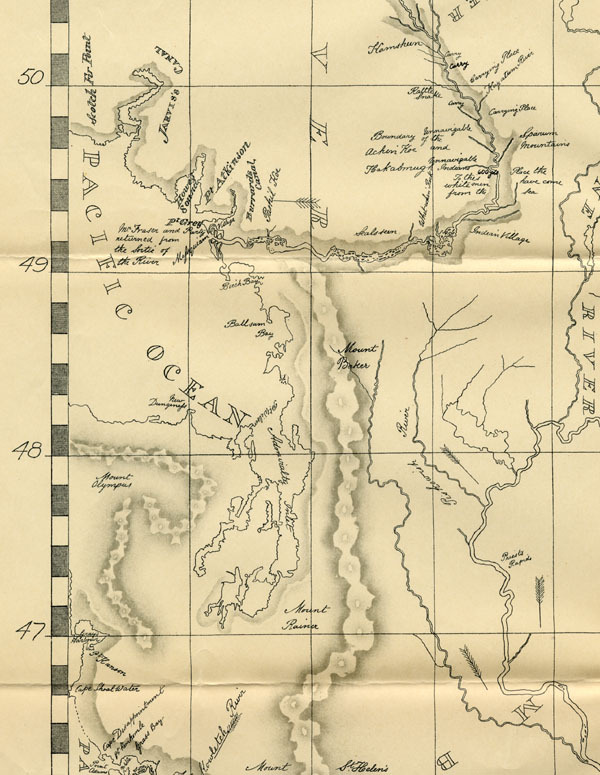 A New Discovery of a Vast Country in America, Extending Above Four Thousand Miles Between New France & New Mexico: With a Description of the Great Lakes […]. 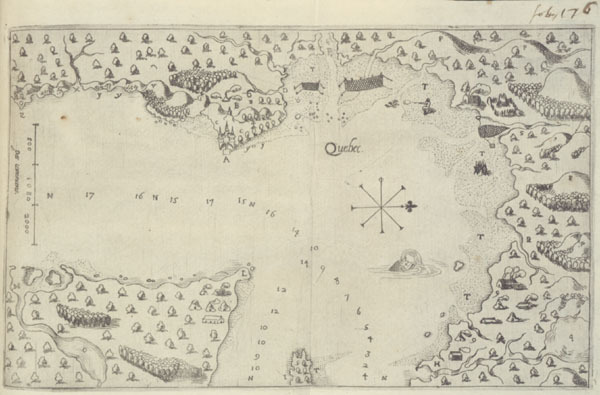 Londres, H. Bonwicke, 1699.